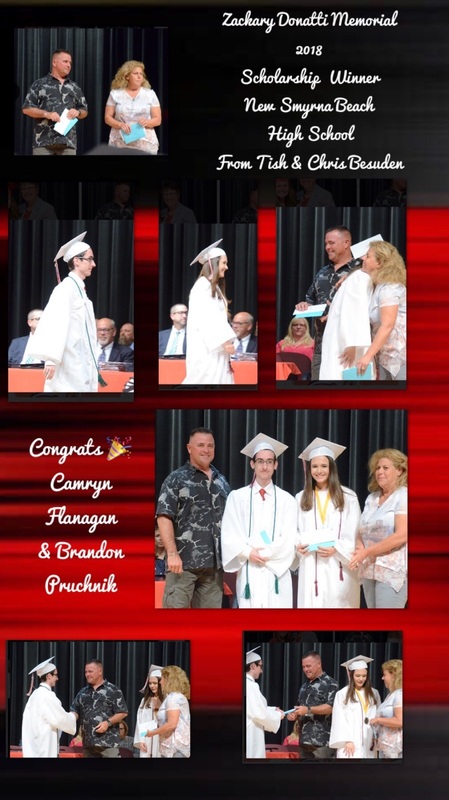 On May 17, 2018 Tish Donatti Besuden from our Criminal Traffic office and her husband Chris presented two students from New Smyrna Beach High School scholarships in memory of her son Zackary who passed away tragically in a horrible accident in 2014. Zach was not only an incredible race car driver, he was also a competitive barrel racer and role model for children dedicated to learning the sport. In honor of his life, Tish started the Zackary Donatti Memorial Barrel Race show and this is the 4th year in existence. 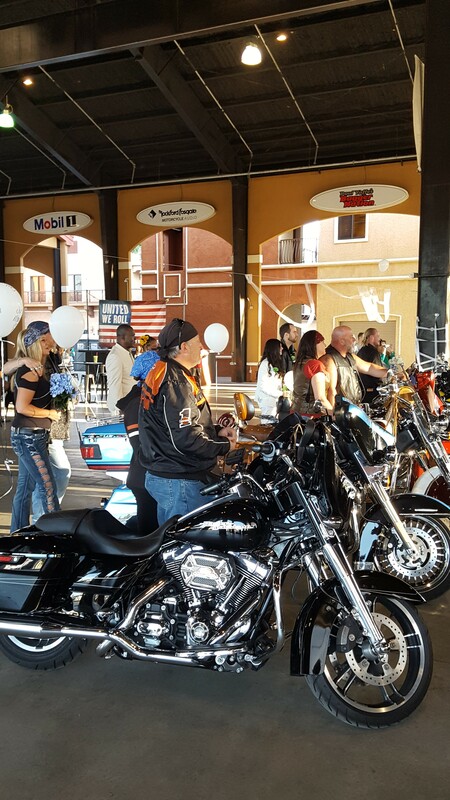 This year there were over 120 riders as well as many donated raffle items. 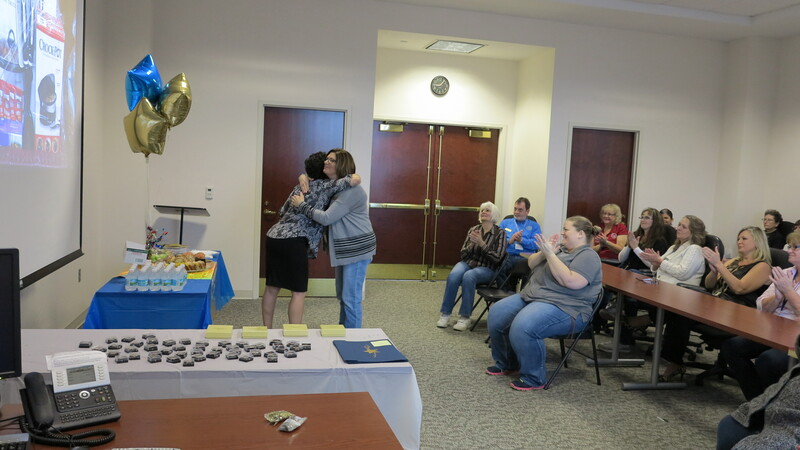 Tish and her family are so honored to be able to present the students these scholarships each year. 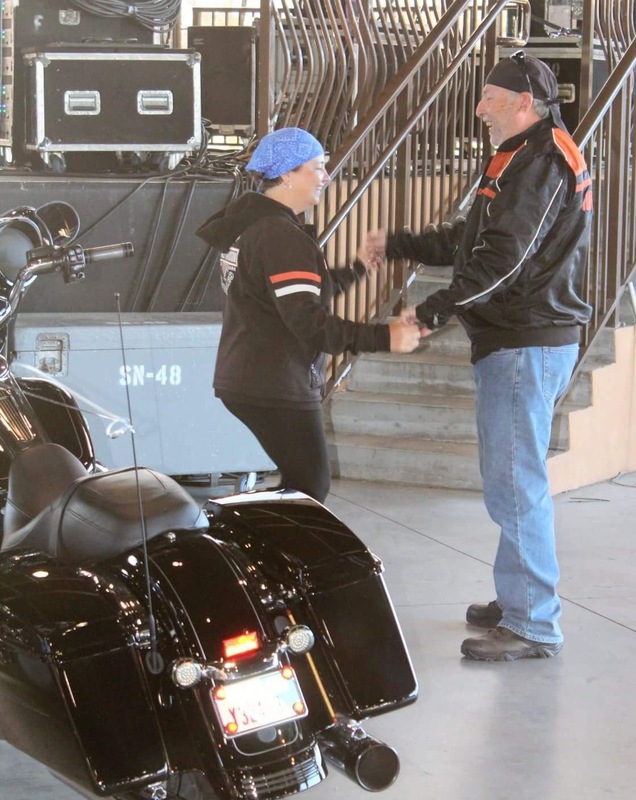 In addition to the two scholarships, a donation was made to St Jude’s Hospital as well as Sandspur Riding Club. 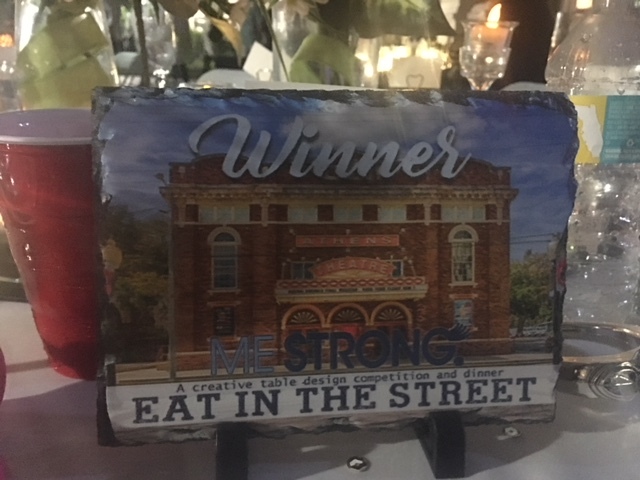 The Clerk’s office was proud to participate in a ME STRONG event, “Eat in the Street,” on Saturday, April 21st. 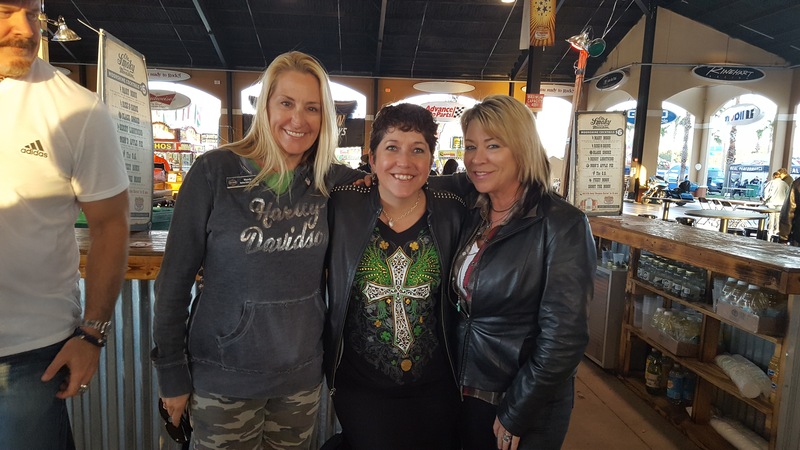 ME STRONG offers assistance to cancer patients who are undergoing cancer treatments.What sets ME STRONG apart from many other cancer charities is that it is not disease,age, or gender specific. 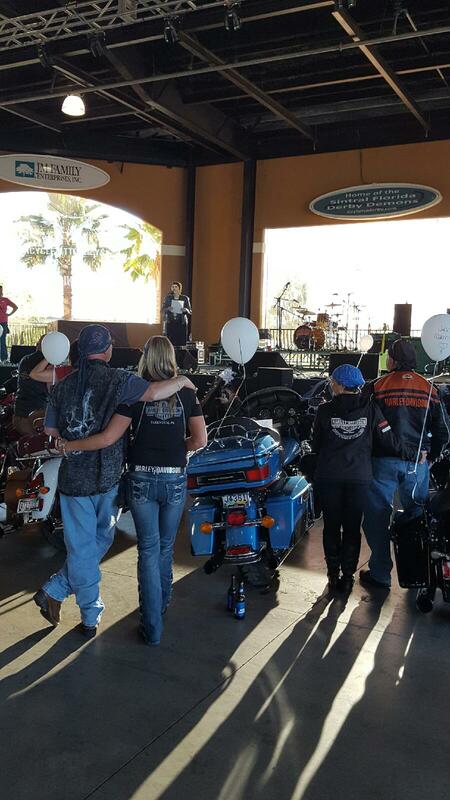 ME STRONG supports Central Floridians with all types of cancer including men, women and children. 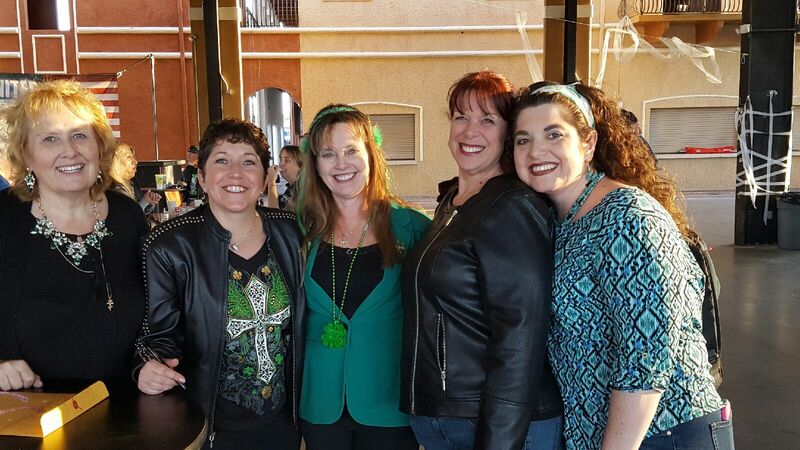 The Eat in the Street event took place downtown DeLand and raised funds for the local cancer related cause. 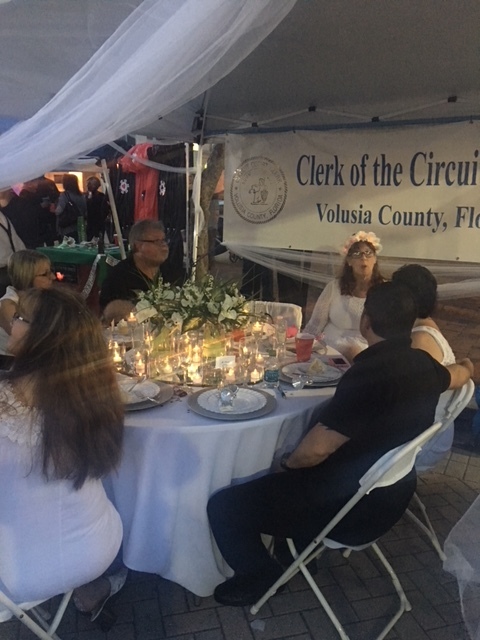 The Clerk hosted a table that showcased the Clerk’s office marriage licensing and ceremony services. 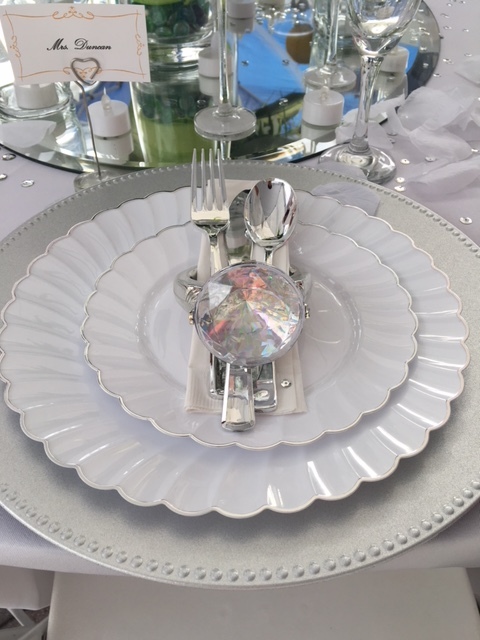 The beautifully decorated table was chosen to receive the 1st place award for “Most Elegant Table.” Marriage services brochures were available to the attendees and visitors. 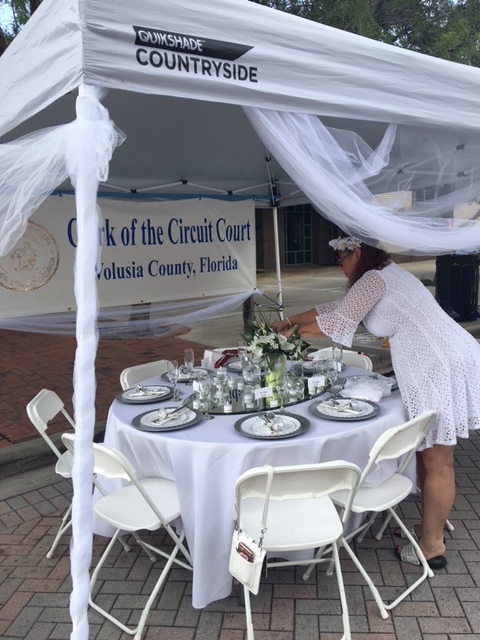 Our special thanks to deputy clerks Debbie R., Lori D., Emily D., and Marylou C. for your help with group wedding ceremonies, our marriage division, and for making this event spectacular. 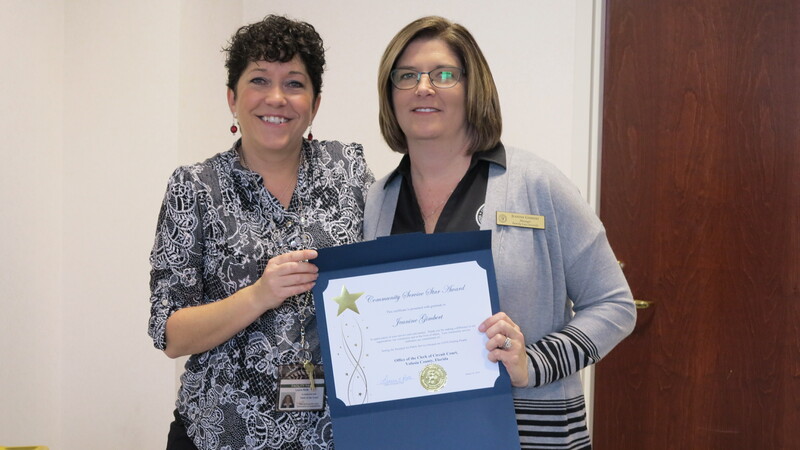 Clerk Recognizes Community Service Giants! 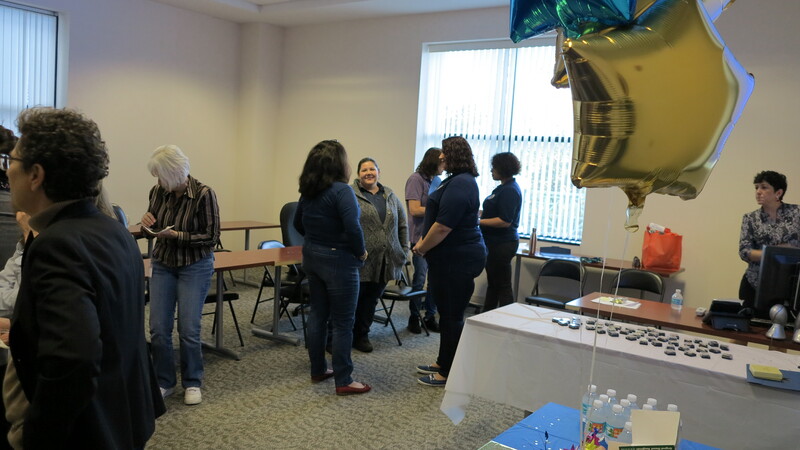 On Friday, January 26th the Clerk Hosted a Reception to Honor our awesome staff members who have organized some great community events in 2017! 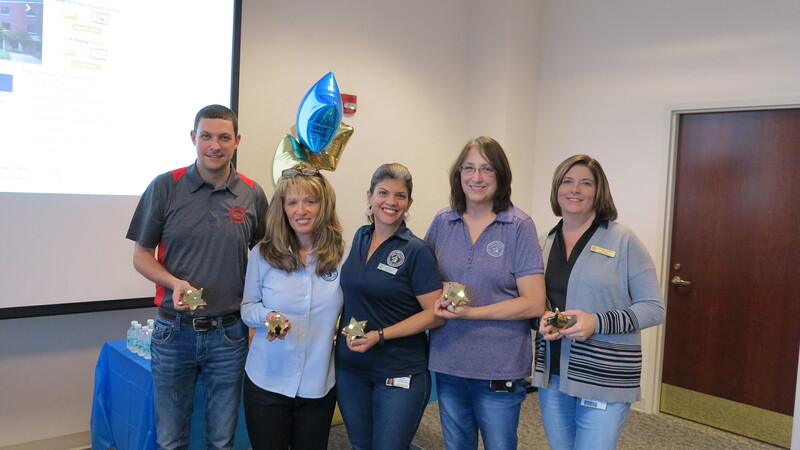 We recognize that these Community Service Giants could not have accomplished their missions without support from their dedicated community service oriented co-workers. 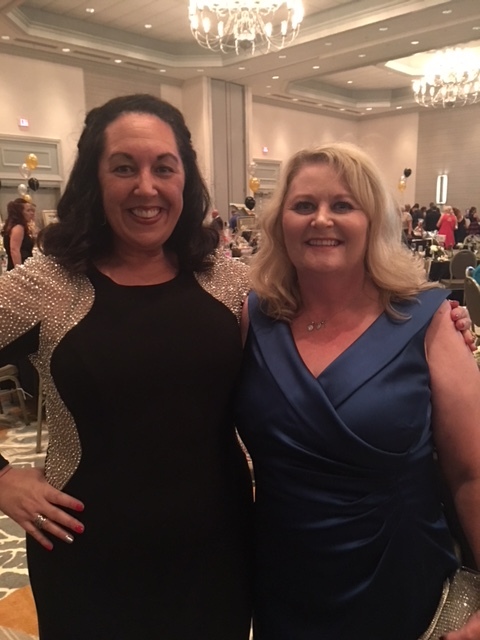 Jeanine G., who organized an awesome shoe drive in 2017 to benefit children in Volusia County. 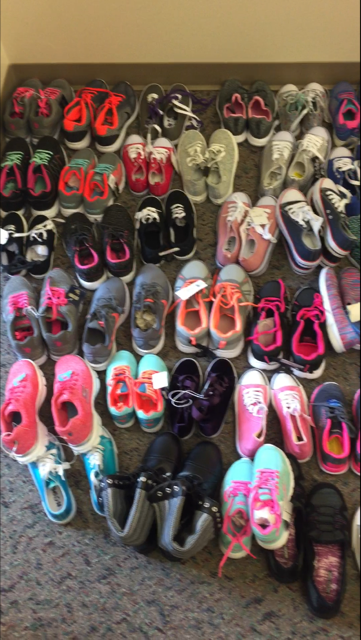 For this great program, staff all over the Clerk’s office donated new shoes to children who otherwise would not have them. 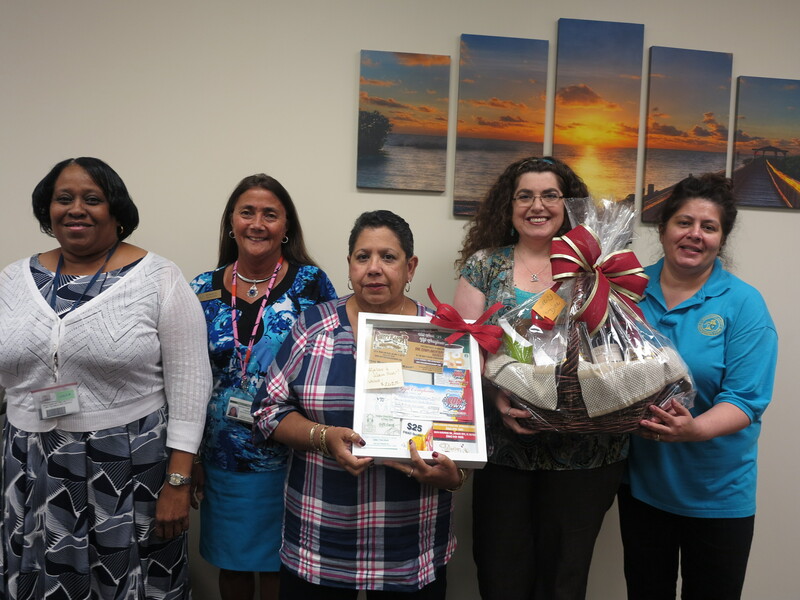 This past year we as a country were devastated by several storms, one of our dedicated Clerks, Katherine V., decided to take action and organized a supply drive for the victims of Hurricane Maria in Puerto Rico. 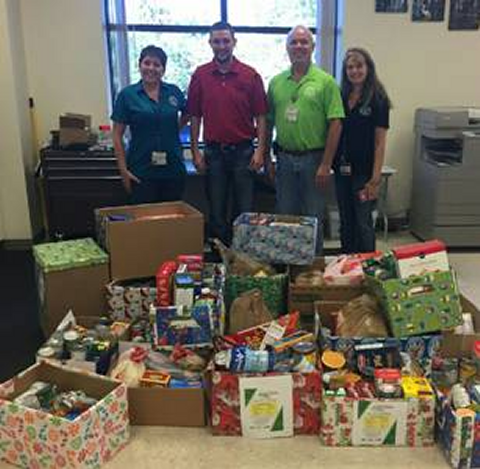 Ralph S., in conjunction with Admin Support organized a food drive to benefit the Second Harvest food drive. Ralph and the mail room staff are the unsung heroes of the Clerk’s Office; they assist with every drive and ensure that the goodies are transported where they need to be. 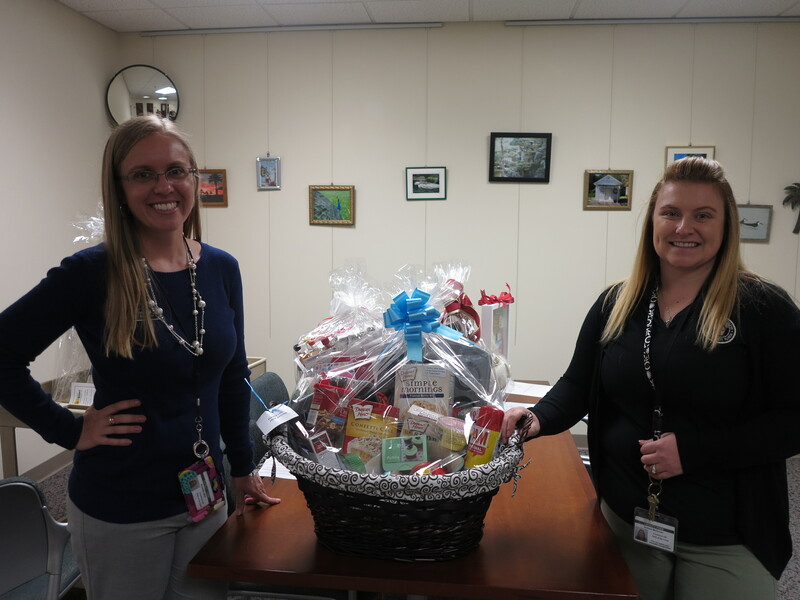 Robin B., who not only works here at the Clerk’s office in the Human Resources department, but also is the President of the Childhood Cancer Foundation helped organize a Gift basket donation. 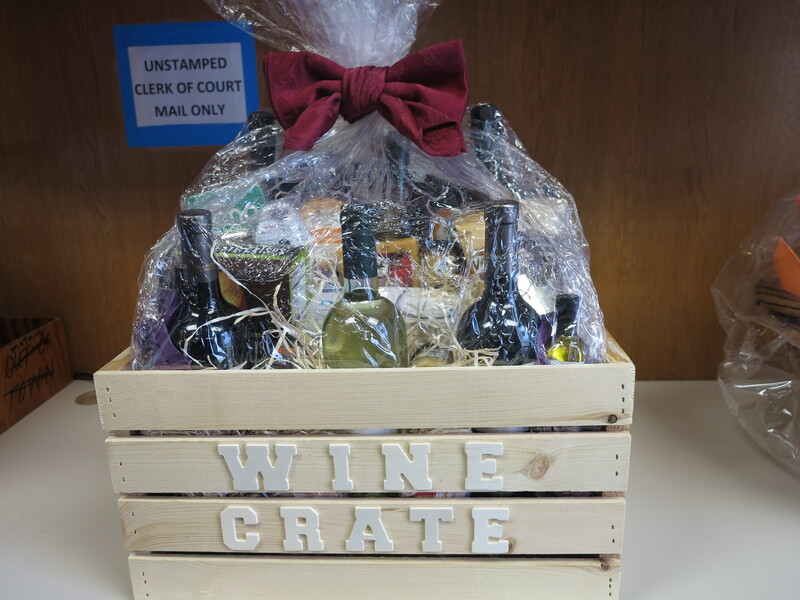 The Clerk’s office donated several gift baskets to be auctioned off to benefit 35 families fighting childhood cancer. 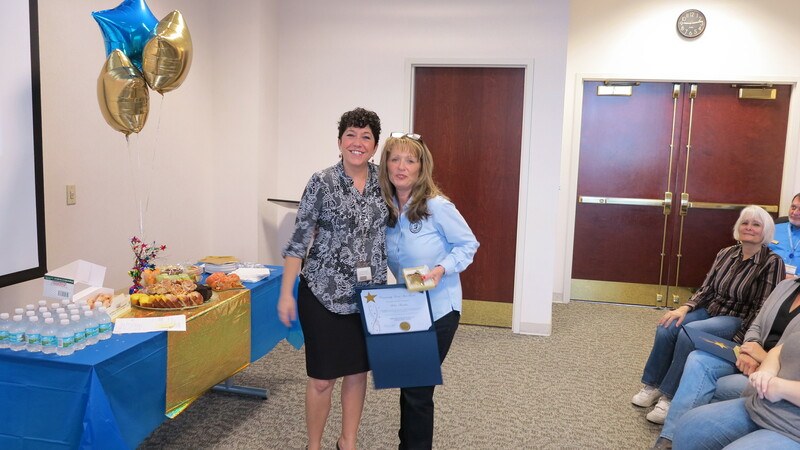 Patty B., was celebrated for her embodiment of the spirit of community service. 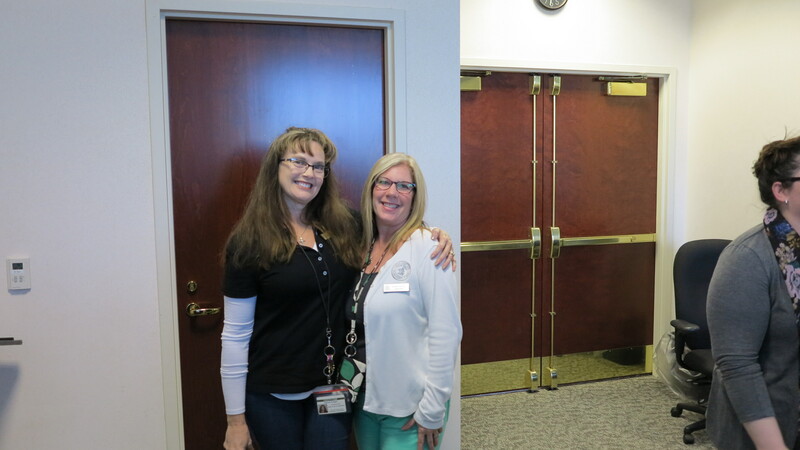 Patty selflessly donates her time and energy to every cause here at the Clerk’s office and many that are unknown to the public. She is most known for helping families or people that she meets that may be hungry or in need of clothing or blankets. 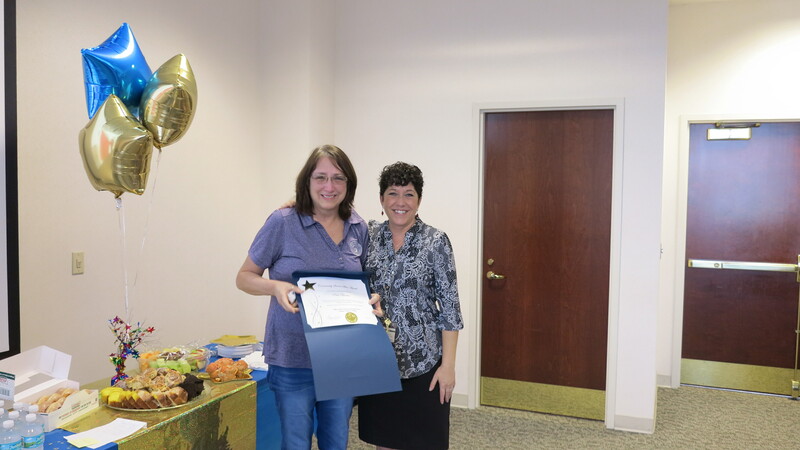 Patty also uses her talent for art to assist us here at the Clerk’s Office and several charitable organizations. I am so proud to be part of an organization that truly puts the community we work in first. 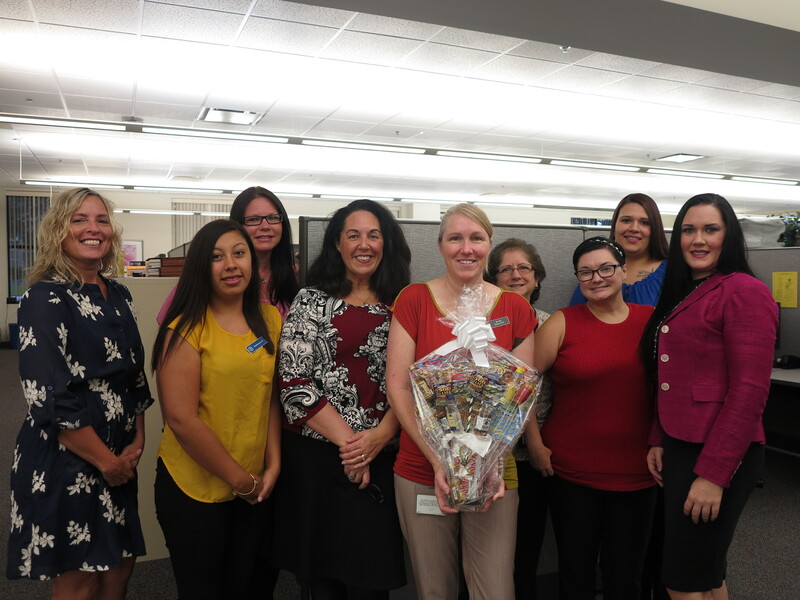 In hard economic times it is extraordinary that the Clerks staff is able to bring joy and happiness to so many lives in the community. We love helping people. 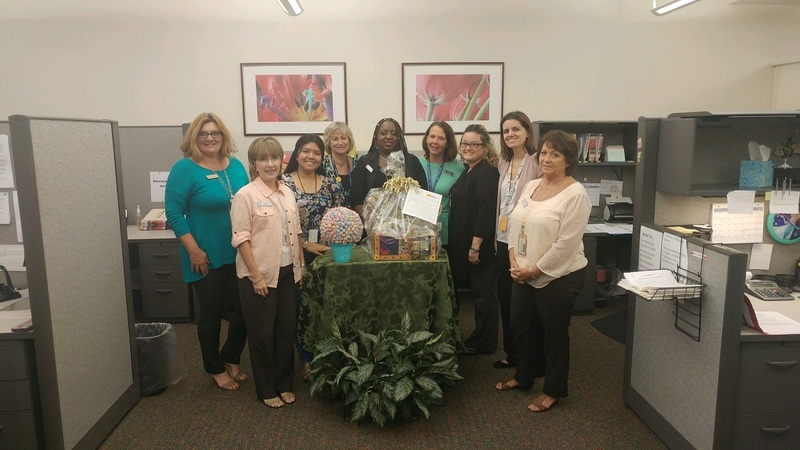 This year the Clerk’s Office employees participated in a shoe drive to benefit needy children in the Volusia County School system. 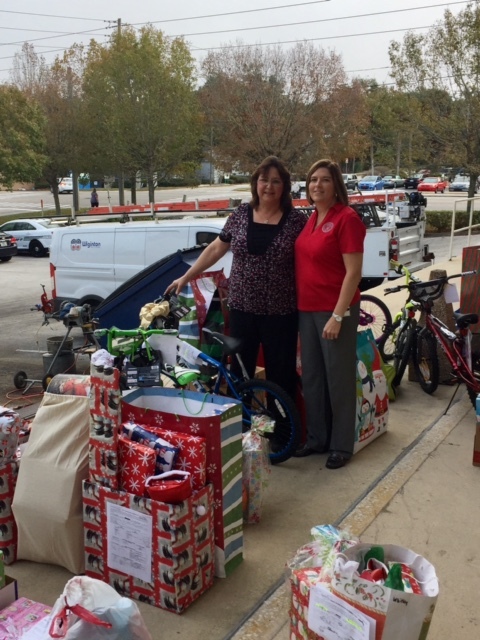 For the past 8 years the Clerk’s office has partnered with Volusia County schools to provide Christmas gifts for homeless children. This year we changed our focus to provide much needed footwear for kids in school. Unfortunately, some families are unable to afford to replace shoes as their children grow or as the shoes deteriorate. Students often show up to school in shoes that have been taped or glued together, passed down from sibling to sibling, and often the shoes are too big or too small. The teachers and staff that work with these children alerted Jeanine Gimbert a Manager here at the Clerk’s office to this great need. Jeanine answered the call and helped to organize a shoe drive at the Clerk’s office. 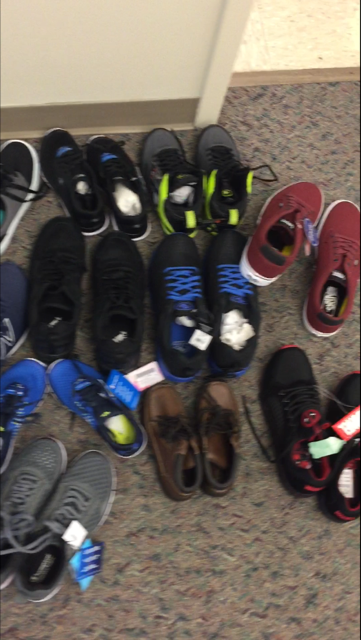 Clerks all across Volusia County went out and purchased brand new shoes of all styles and sizes for the children of Volusia County. We collected 115 pairs of shoes! Jeanine and her helpers’ gift wrapped each pair of shoes, so that when a child receives them, they are a gift not a handout. When a teacher or staff at the school identifies a child in need they will be able to reach out to the liaison and supply the child with a new pair of shoes. 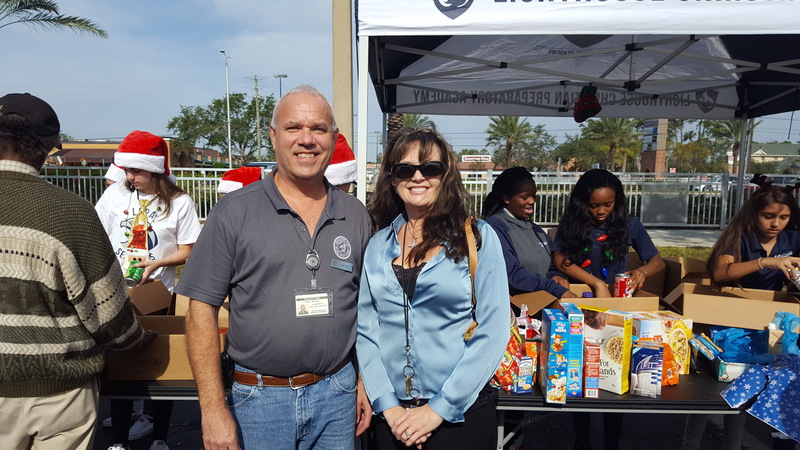 The Clerk’s Office continues to participate in the Annual WESH 2 Share Your Christmas food drive benefiting the Second Harvest Food Bank of Central Florida. 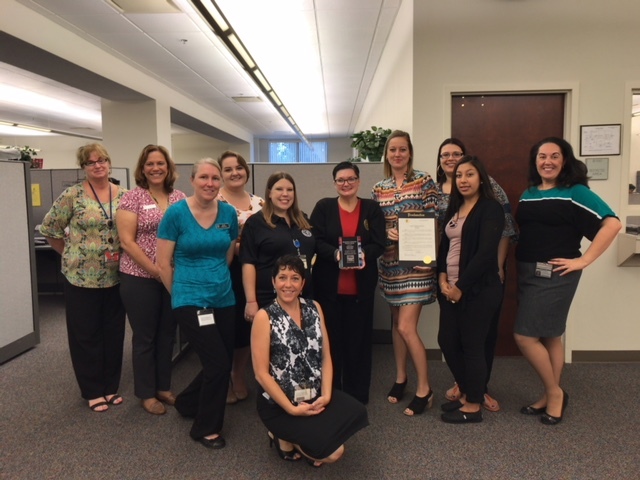 This food drive is vital to the Central Florida community and the Clerks office is proud to partner with WESH 2 and donate to this cause every year. These donations go directly to the needy in our communities. 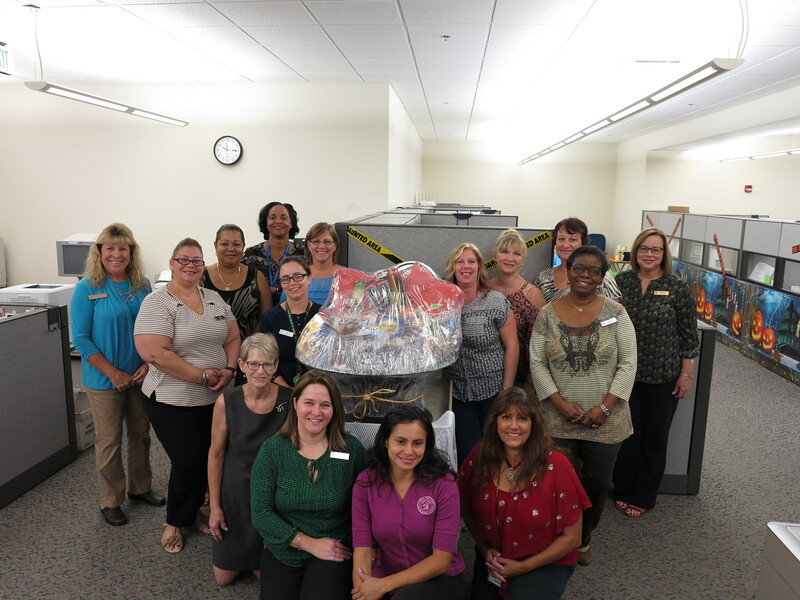 This year every office within the Clerk’s office decorated collection boxes and collected non perishable food items for donation. We love helping people! 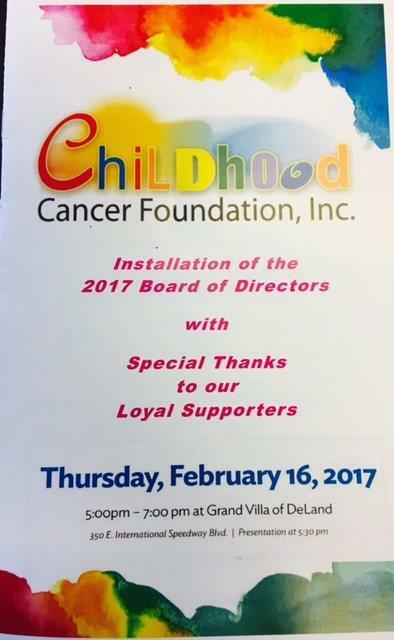 The Childhood Cancer Foundation (CCF) is a local organization dedicated to raising money to provide financial assistance to families in Volusia County who have children actively battling cancer. The current President of the Foundation is the Clerk’s office own Robin Beaulieu from HR. 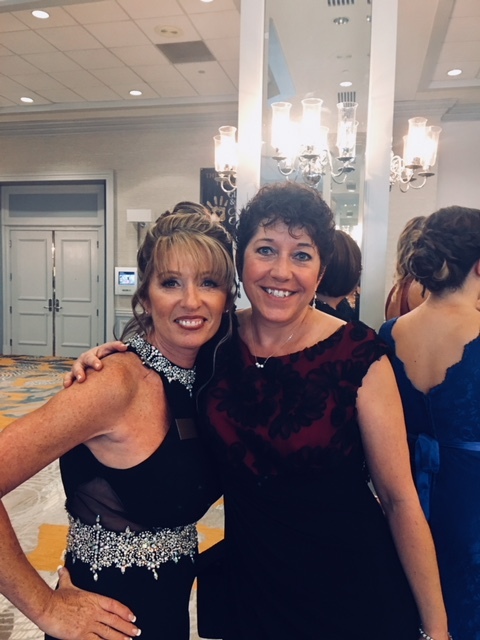 The Foundation holds an annual Gala to raise funds and this year’s event was extremely successful, raising over $88,000 for the cause! 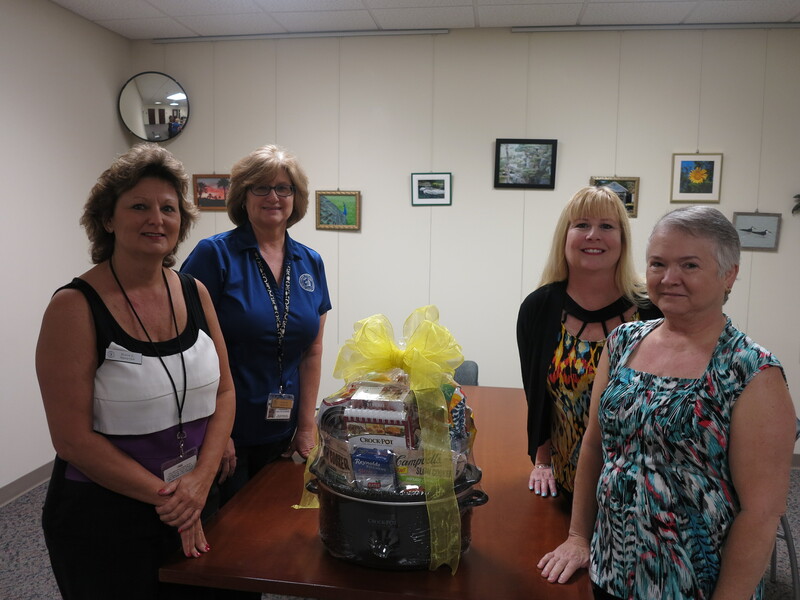 The Clerk’s office staff have contributed gift baskets and other items to CCF to help raise funds for several years. 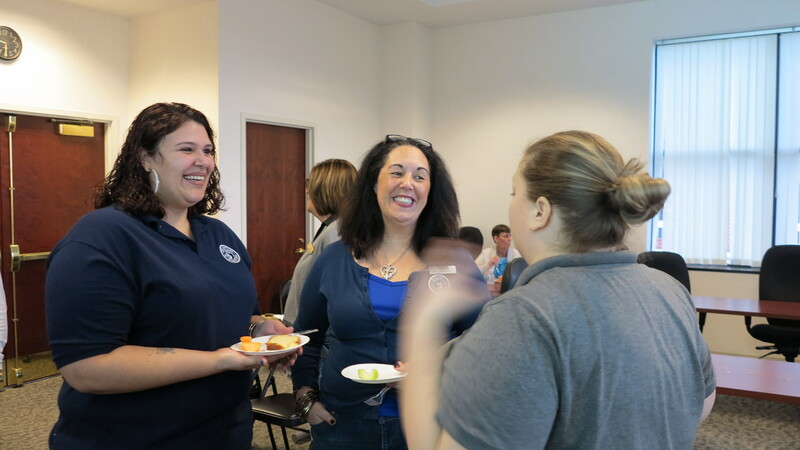 These contributions are voluntarily donated by deputy clerks throughout the organization from their own personal funds. 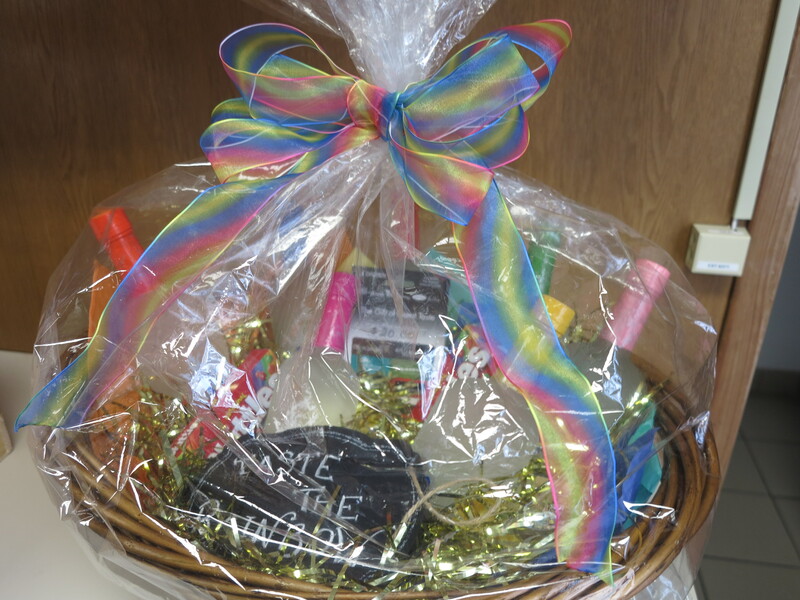 This year’s baskets and other items were particularly amazing. 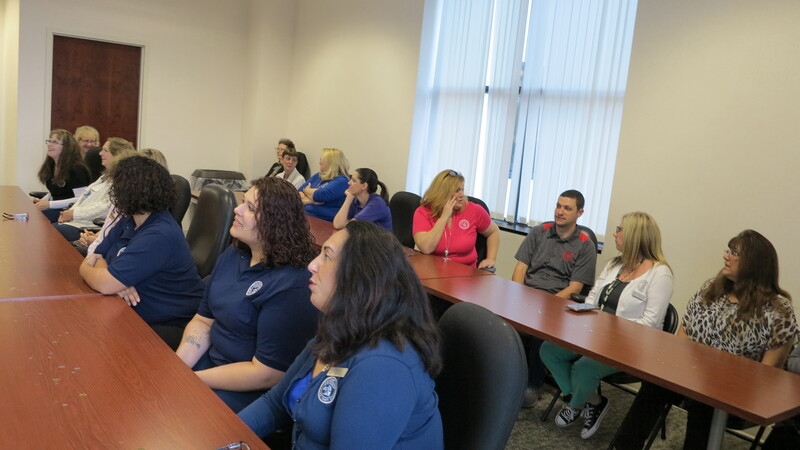 Thank you so much to the 19 divisions and individuals from the Clerk’s office that gave to the worthy cause. 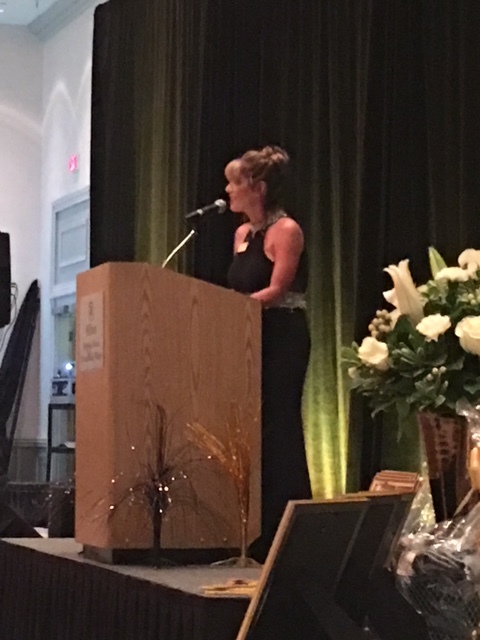 Kudos to Robin’s extraordinary efforts this year as the Foundation President. 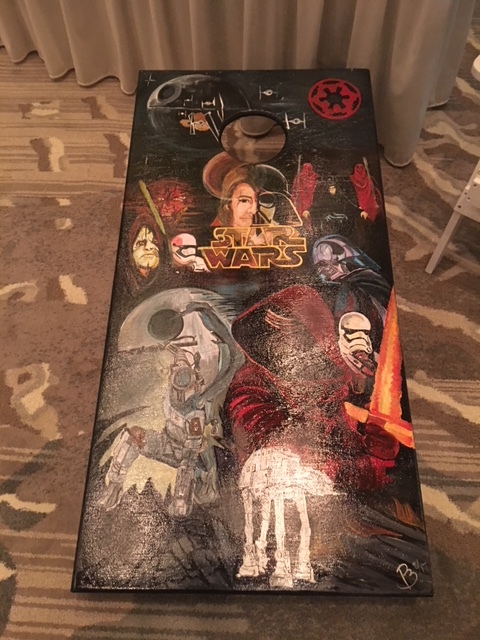 Special thanks also to deputy clerk Patti B. who donated a set of hand-painted Star Wars themed chairs and corn-hole boards for the live auction which were sold for $600! 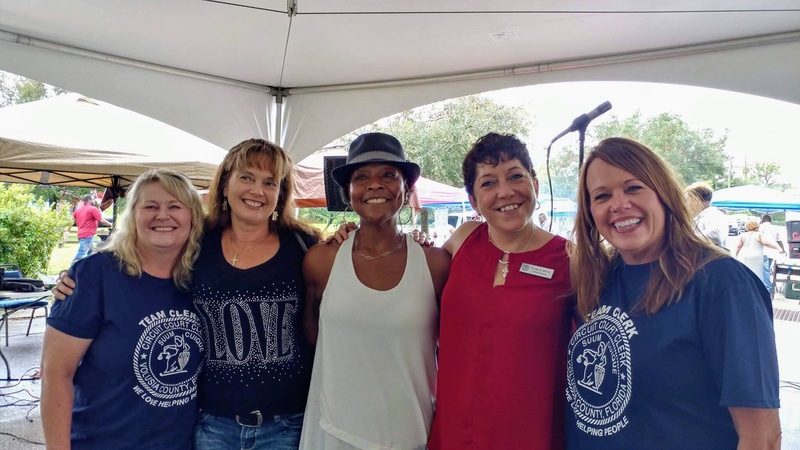 Clerk's Office Honored as "Exceptional Community Partner"
The Clerk’s Office was honored with an “Exceptional Community Partner Award” on Saturday, September 30th, at the 15th Annual Spring Hill Neighborhood Association’s TURN festival. 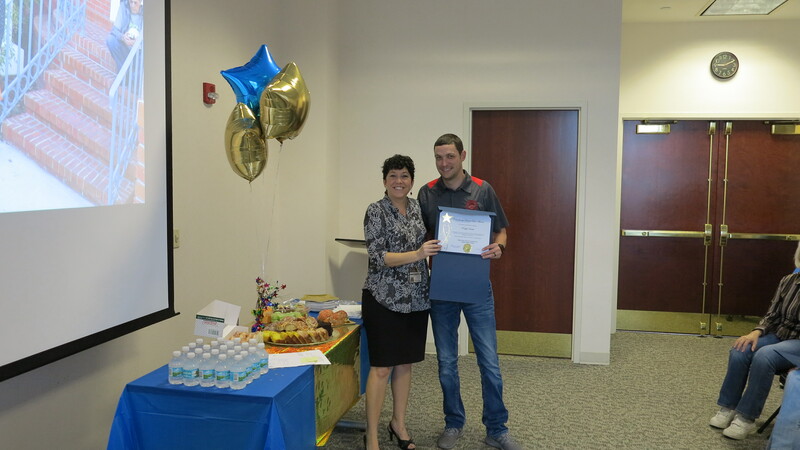 The City of DeLand also presented the Clerk with a certificate of thanks and appreciation for helping conduct a seal/expunge workshop to the public at an event coordinated by the Spring Hill Resource Center Director, Shilretha Dixon. 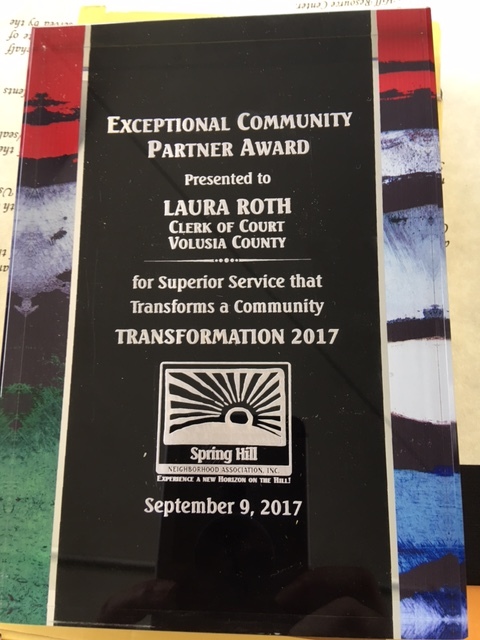 We are very grateful to the Spring Hill Association and the City of DeLand for recognizing the work of the Clerk’s office. 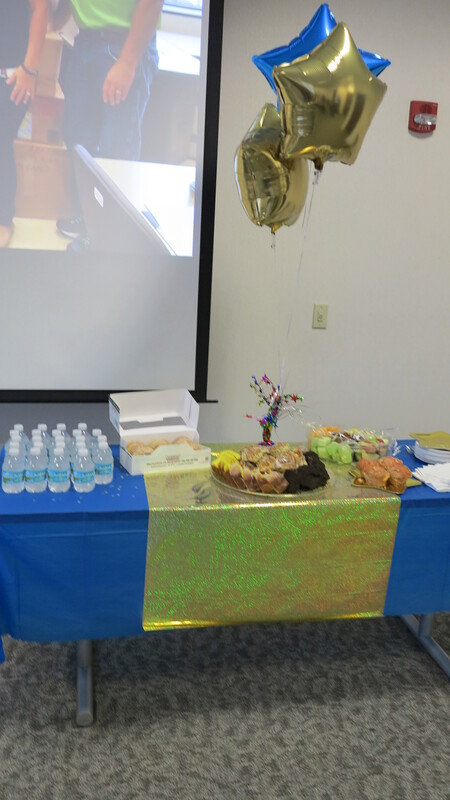 Congratulations to those citizens who qualified to have their records sealed or expunged. 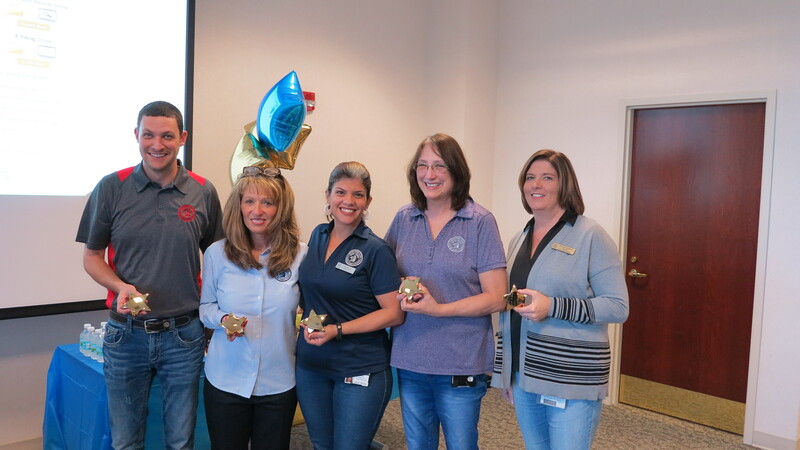 A special thanks to those criminal division Team Clerk members who performed the records research with excellence! 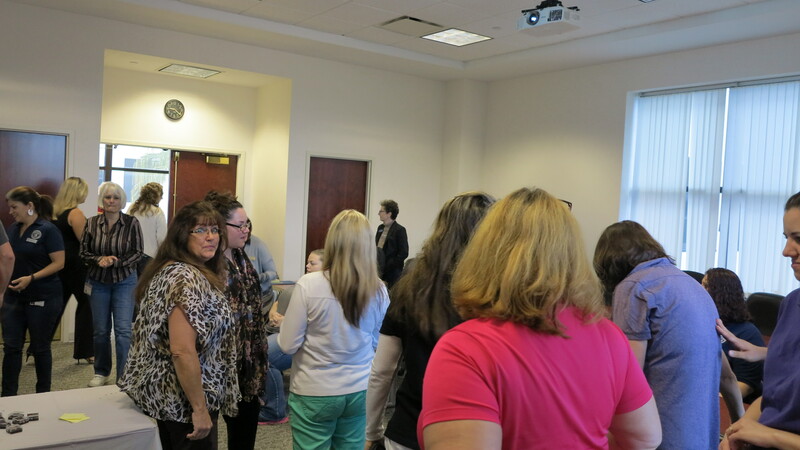 Clerks Attend Elevate Daytona Event. 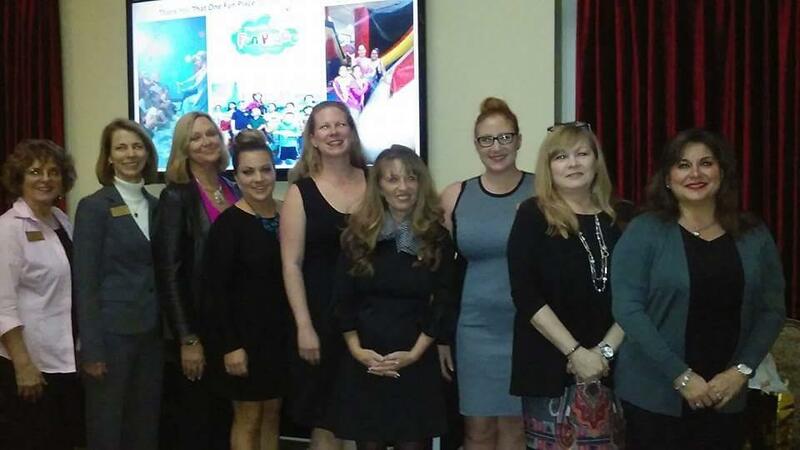 The Daytona Regional Chamber of Commerce’s Leadership Daytona Alumni Council hosts “Elevate Daytona,” a fast paced TED-style event where speakers get 20 slides, automatically advancing every 15 seconds, resulting in exciting five-minute presentations. 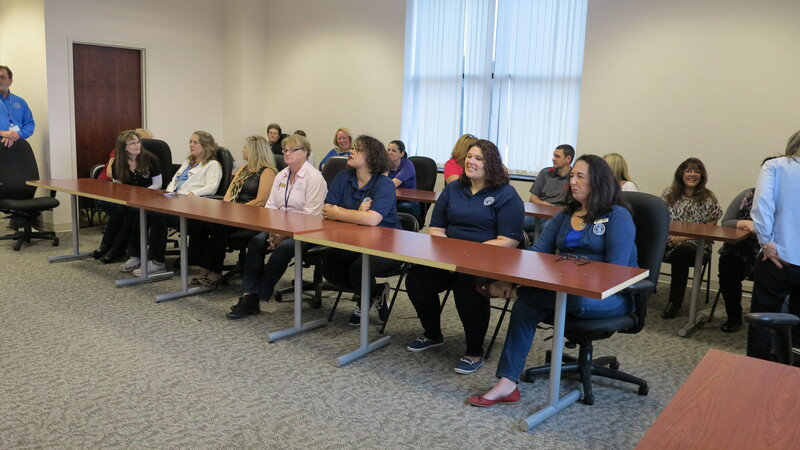 The Clerk and more than 20 Clerk’s office Managers, Supervisors and Project Specialists attended the Summer Event on July 20th. 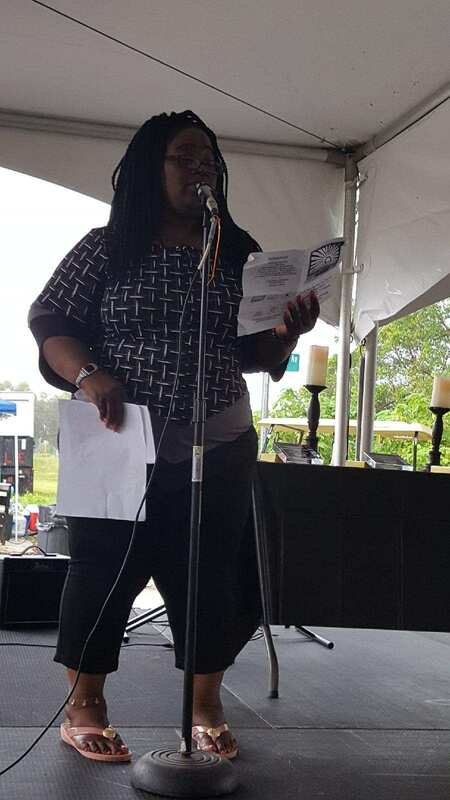 The speakers were informative and inspirational, addressing topics like PTSD, the plight of bees, proper grammar, homelessness, mentoring and many other interesting subjects. 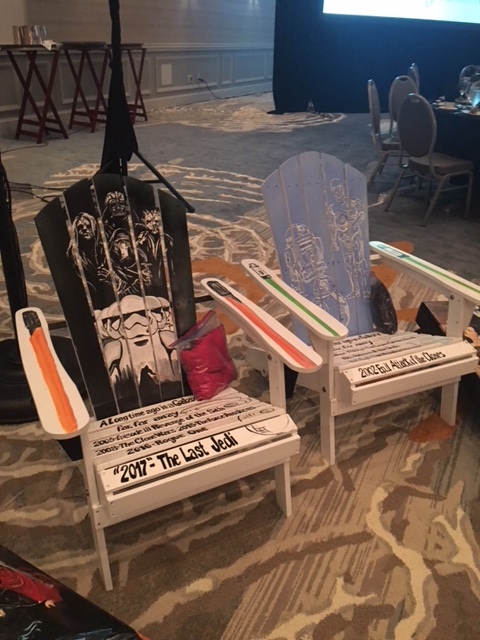 Thank you Daytona Regional Chamber for putting on this unique event. Clerk Roth and Veteran's Court Clerk Glenda present a Bible to Judge Beck. Members of the Special Olympics honor Judge Beck. 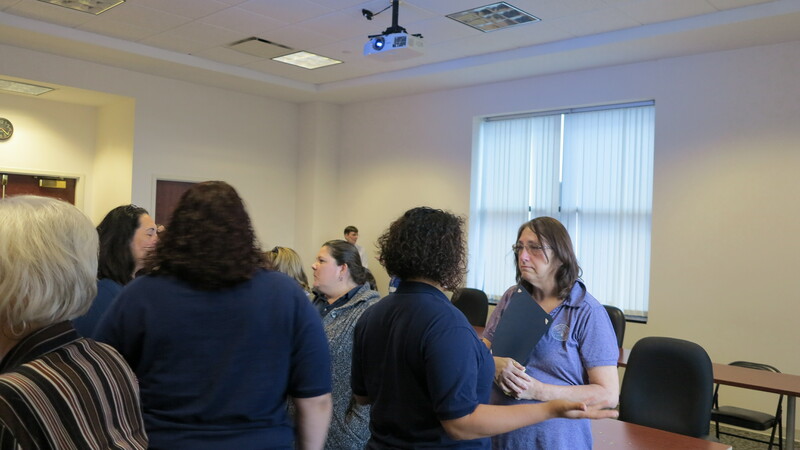 Deputy Clerks gather to honor Judge Beck. The Clerk's office was especially happy to attend the dedication of the Seventh Judicial Circuit Veteran's Court in the name of the Honorable Judge David B. Beck. Judge Beck spearheaded the establishment of Veteran's Court in our Circuit and held the first session in November 8, 2013. The program continues successfully today. The Clerk’s office proudly serves the Judges in Veteran's Court proceedings and we salute Judge Beck for his great accomplishments helping other veterans. 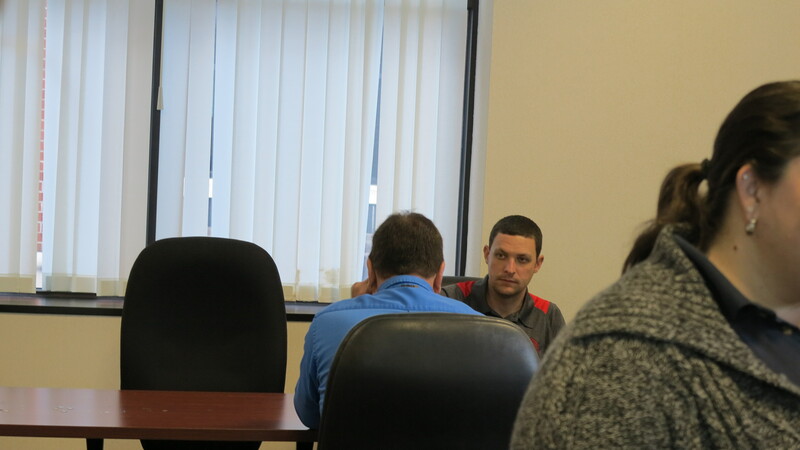 Read more about the mission of Veteran's Treatment Court on the 7th Judicial Circuit website. 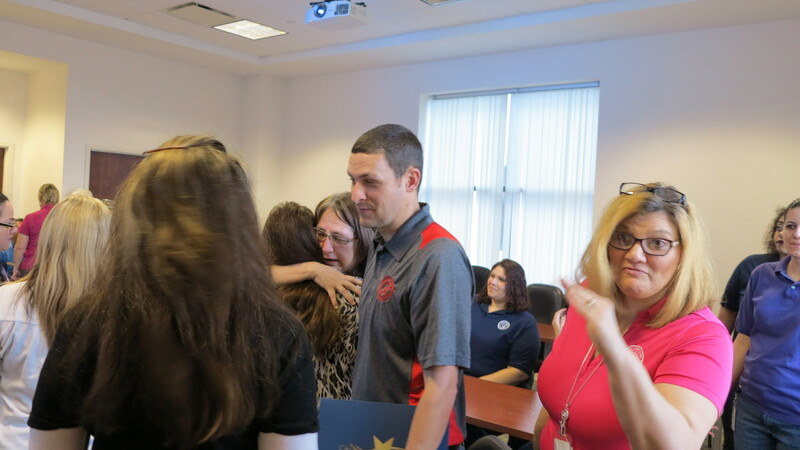 Thank you to Glenda and the other Deputy Clerks who helped make this day extra special for Judge Beck! 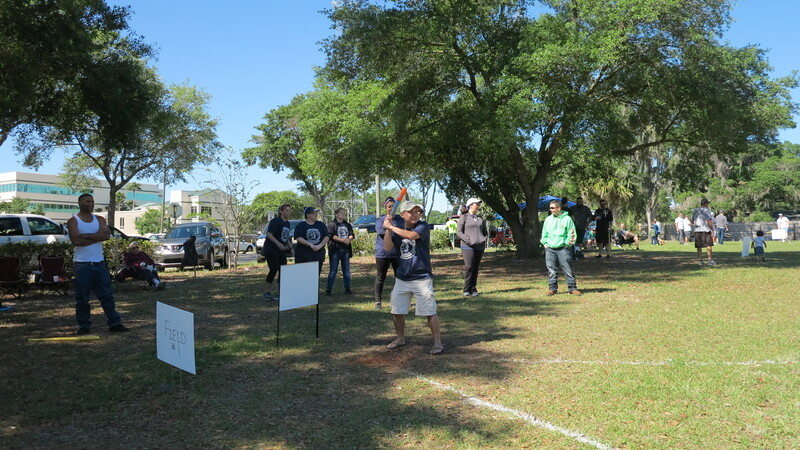 The Neighborhood Center of West Volusia held a Wiffle Ball Tournament on Saturday, April 8th. 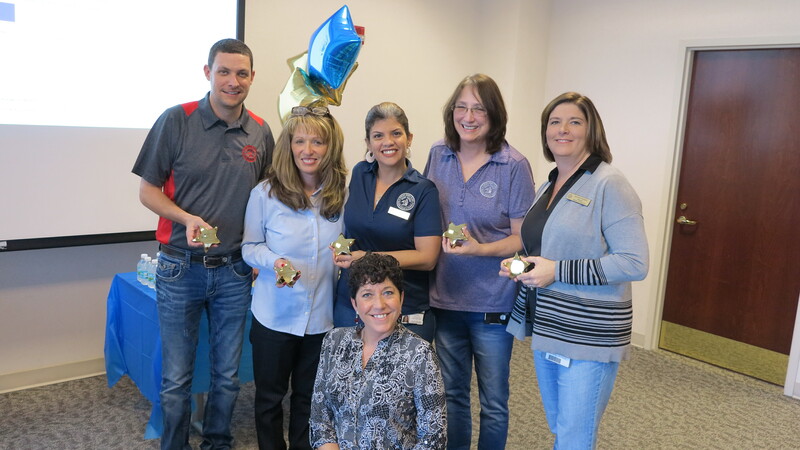 The Clerk's office entered a team and seven deputy clerks played while two cheered them on! 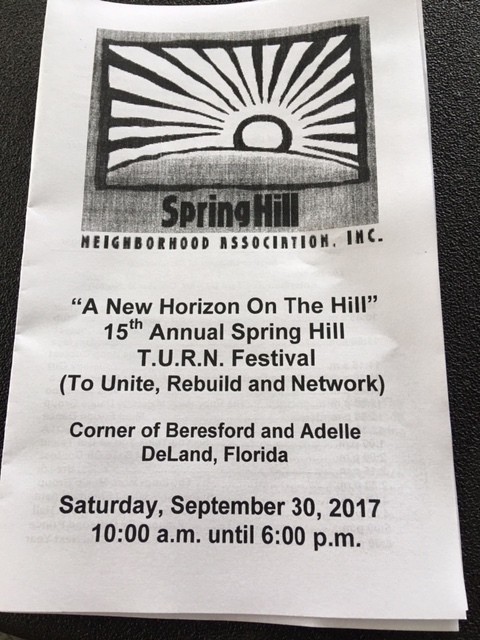 The event raised funds for the Neighborhood Center of West Volusia, a well respected charitable organization located in DeLand. 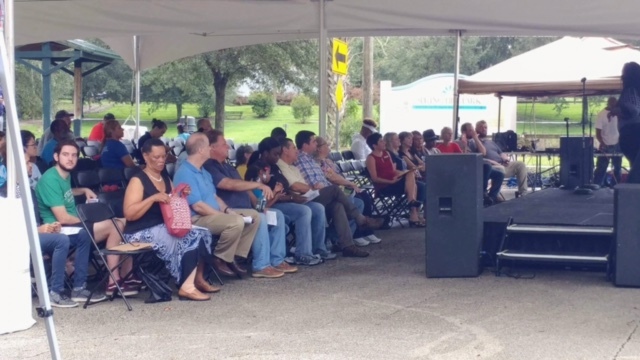 The Neighborhood Center's vision is "to be an integral part of the collaborative efforts to serve the homeless, to feed the hungry and to prevent homelessness in Deland and West Volusia County." To learn more about the excellent work of the Neighborhood Center, visit their website. 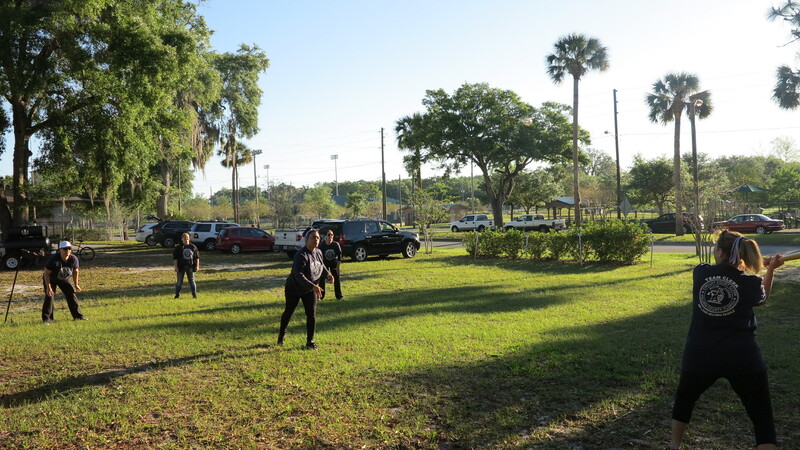 Thank you to the fantastic deputy Clerks who came out to play on "Team Clerk" at the Tournament. 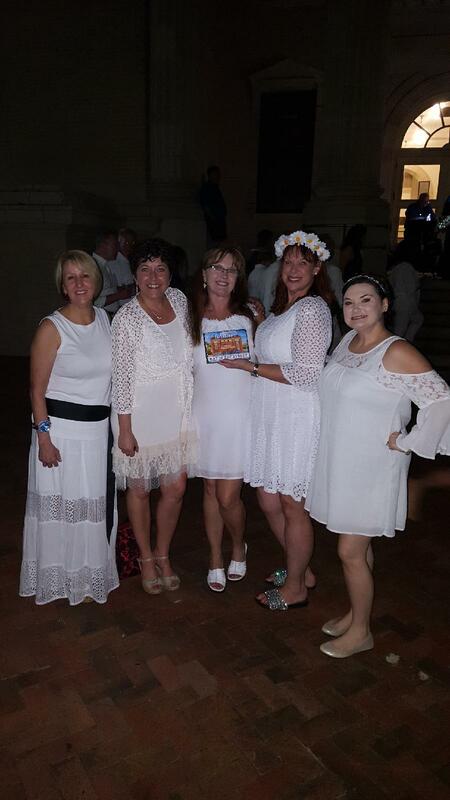 The Guild of the Museum of Art - DeLand puts on an Annual Arts Education Fundraiser & Juried Wearable Art Exhibition. The Clerk's office has had representation at this event for four years in a row. The fundraiser supports youth art education classes in our community. This year's theme was Surreality. Our HR Manager, Kate Shockey's submission was called Mantid; a surreal representation of beauty and beast. Great job Kate! 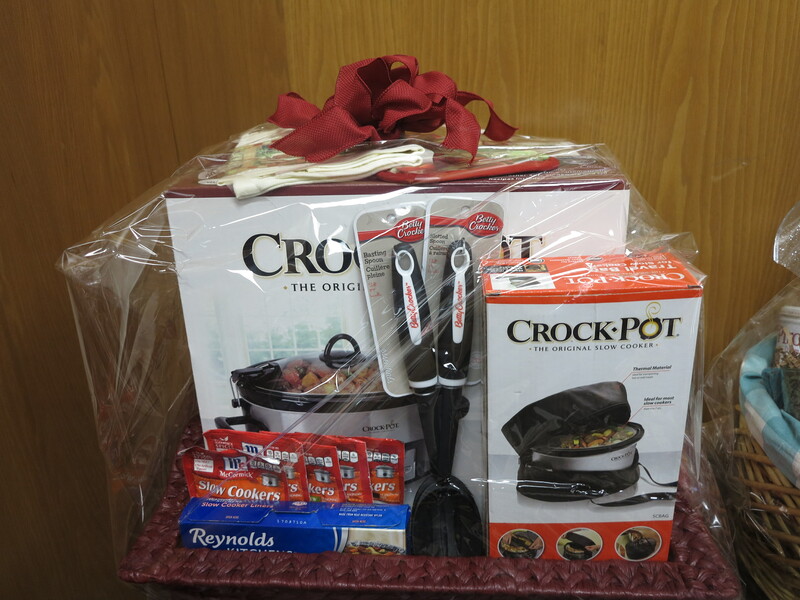 We are proud of your talent and willingness to participate in a fundraiser that helps others. 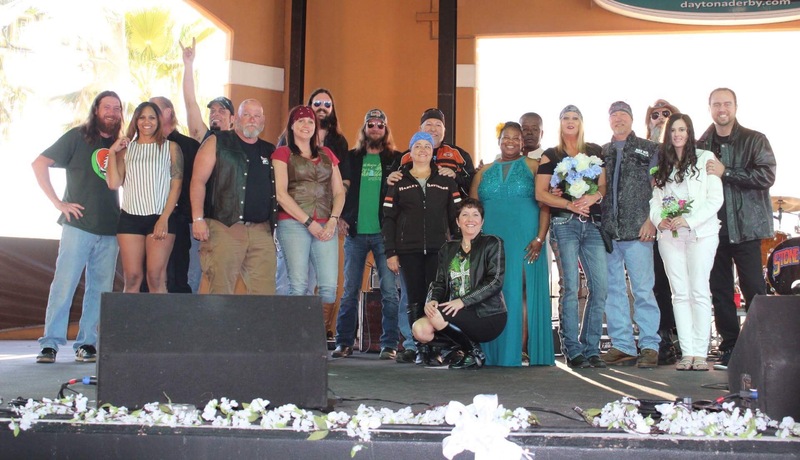 On St. Patrick's Day, March 17th, 2017, the Clerk of the Court conducted her first group wedding ceremony, featuring motorcycle enthusiasts attending Volusia County's "Bike Week" events. Bruce Rossmeyer's Destination Daytona graciously donated the space for the wedding and provided a band for a reception after. 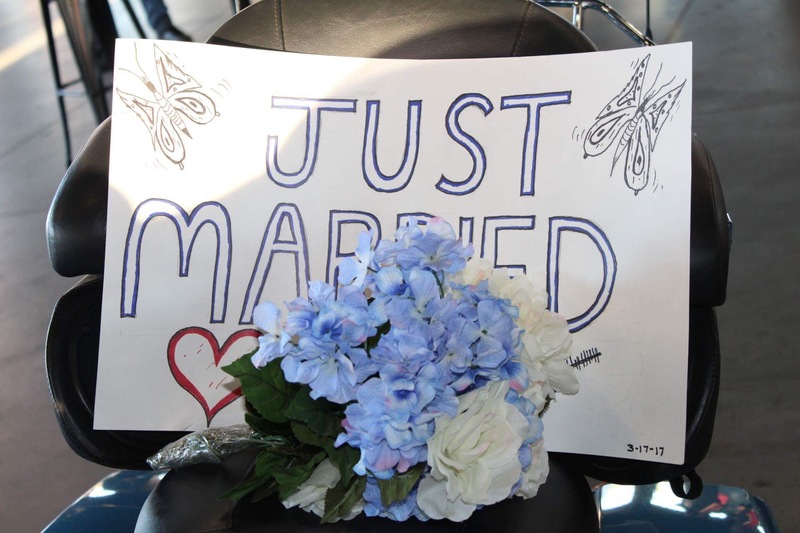 The Clerk and staff were especially honored to be a part of these couples new life ride together. 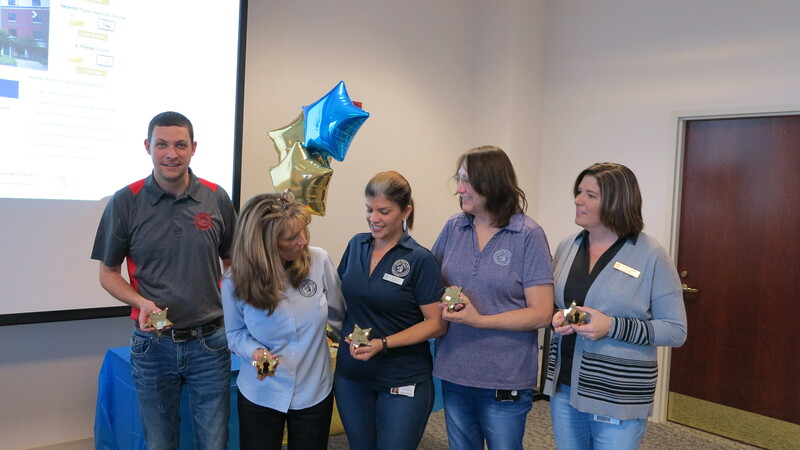 Special thanks to the deputy Clerks that assisted in the preparations and during the ceremony and to Mandy Rossmeyer for supporting the event. 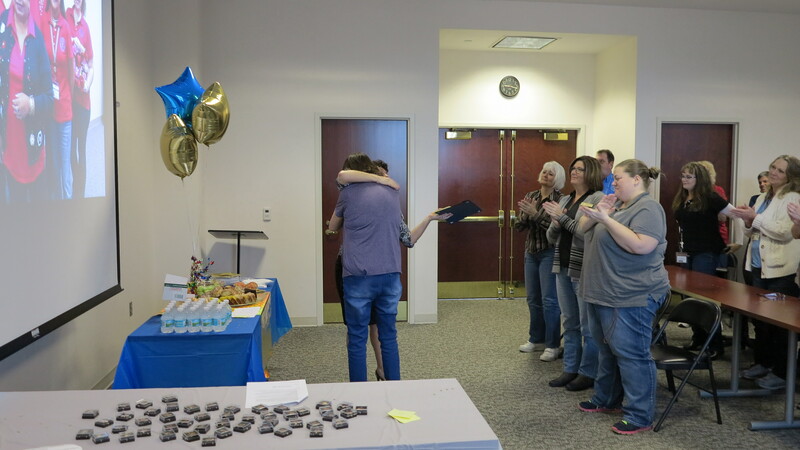 For several years, the Clerk's office employees have generously supported the Childhood Cancer Foundation, a local charity dedicated to assisting families of children with cancer. The Childhood Cancer Foundation is committed to ensuring that no one has to face the diagnosis of childhood cancer alone, and secondly, they provide financial assistance to childhood cancer families during the most difficult time of their lives! 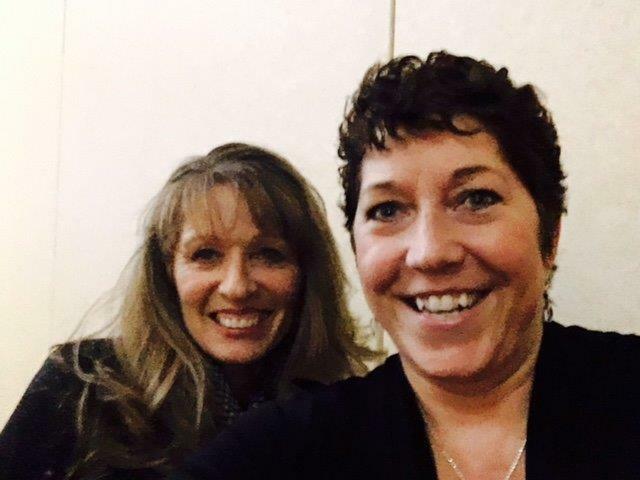 We are very proud to announce that on February 16th, the Clerk's office Human Resources Generalist, Robin Beaulieu, was installed as the new President of the CCF Board! This is a volunteer position that will be as rewarding as it is challenging. 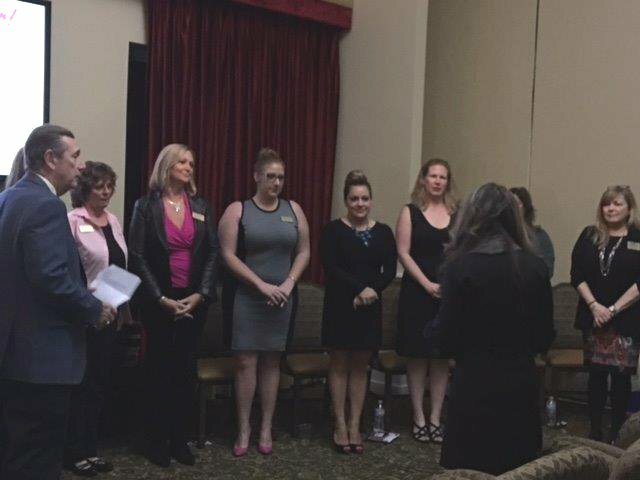 Many deputy Clerks attended the event to support Robin and the great work of the organization. 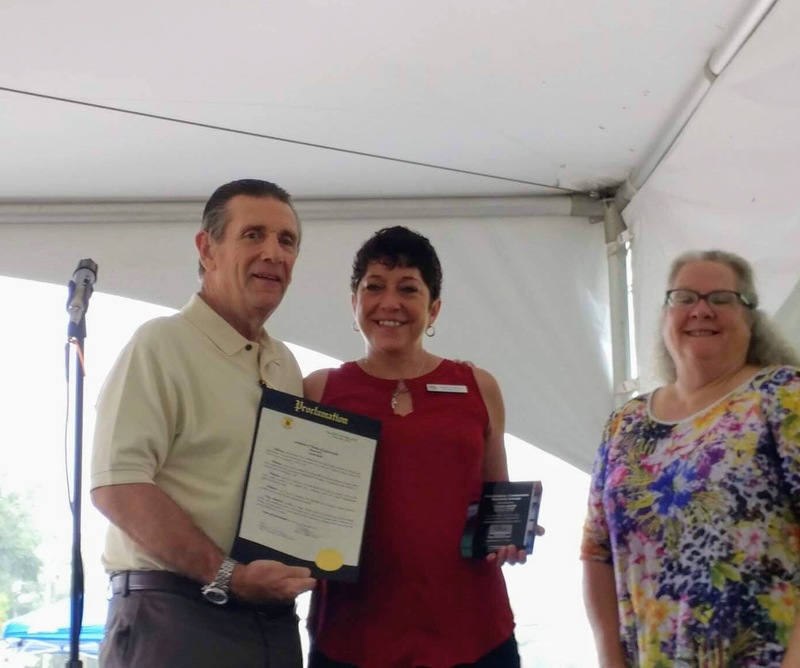 In Robin's address to the Foundation after being sworn in by DeLand Mayor, Bob Apgar, she shared her passion and dedication to taking the Foundation to new heights of success in fundraising and helping the community. Robin said that CCF needs to do more and she will give her all to help that happen. She explained the growing need, "the American Cancer Foundation estimated there will be 1,688,780 new cancer cases in 2017 and 600,920 of those diagnosed will not survive. Of that number, 250,000 of the new cases will affect children under the age of 20. This means that 1 in every 285 children will be diagnosed with cancer under the age of 20 and 91,000 of them will not survive." 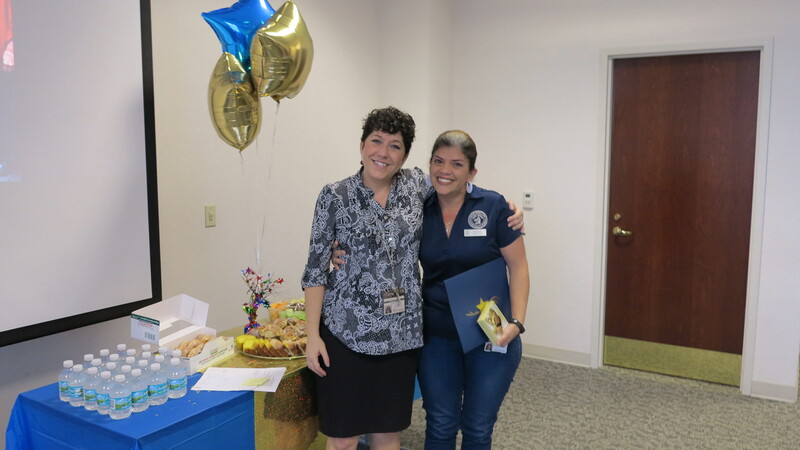 The Clerk's office is honored to play a part in helping CCF in their important mission and we wish Robin the best in her new role! Donna, was the first Deputy Clerk to cross the finish line at 32.05 minutes! Deputy Clerks Jennifer, Joanie, Faith, and Director Liz Whitaker, made it across the finish line! Robin from Clerk HR, President of the Childhood Cancer Foundation, cheering on the participants. Project Specialist Tara and husband, getting it done! Director of Administrative Services, Liz Whitaker, approaching the finish. Wife Dannette and daughter Lauren of IT operations supervisor, David, after finishing the big run. 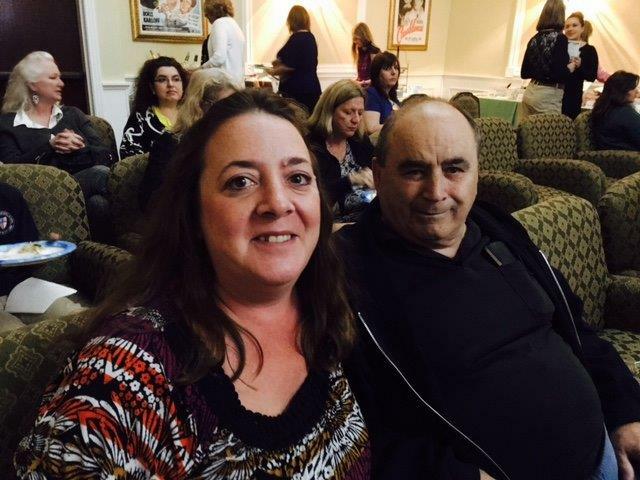 Deputy Clerk Cathy and her Dad bring the team spirit. 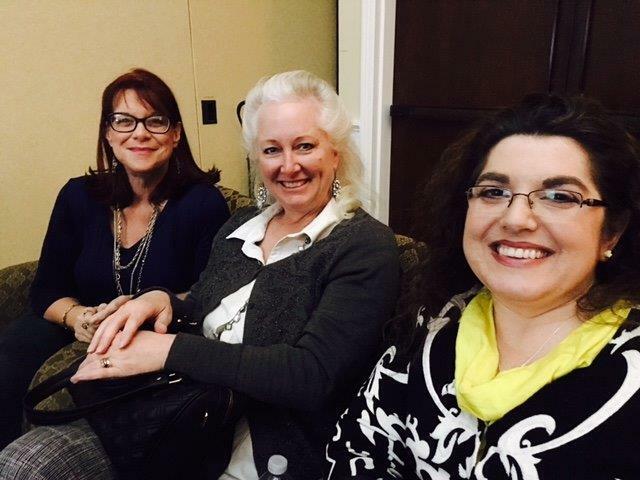 Deputy Clerks Jennifer, Donna and Joanie, getting ready to brave the cold. 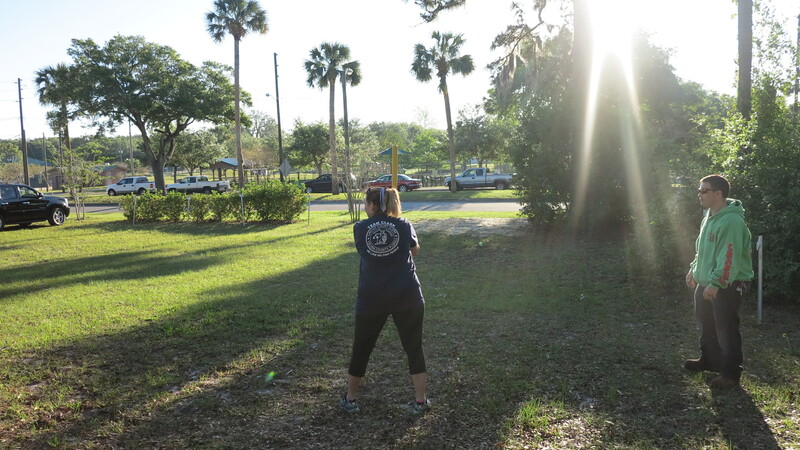 ME STRONG: Deputy Clerks Get Their Running Shoes On for a Good Cause! 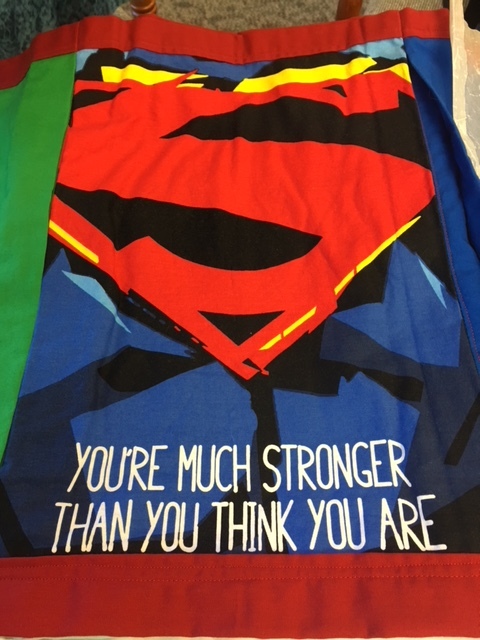 ME STRONG is a rapidly growing charity committed to serving Central Floridians battling cancer and to funding groundbreaking research in pursuit of a cure. 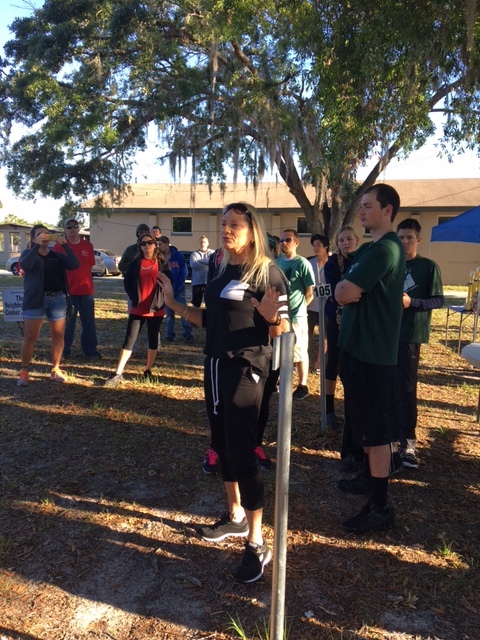 The ME STRONG 5k is held annually in DeLand, and has grown to be the largest 5k hosted in Volusia County. 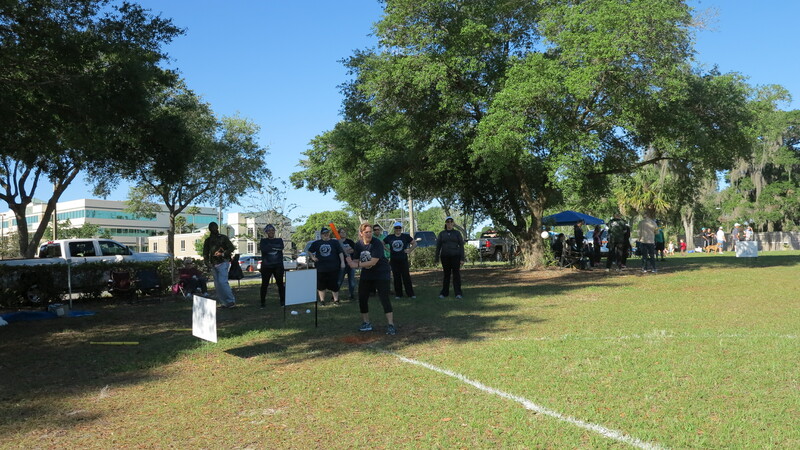 This year's 5K fundraiser took place on January 28th, with a total registration of 2,800. 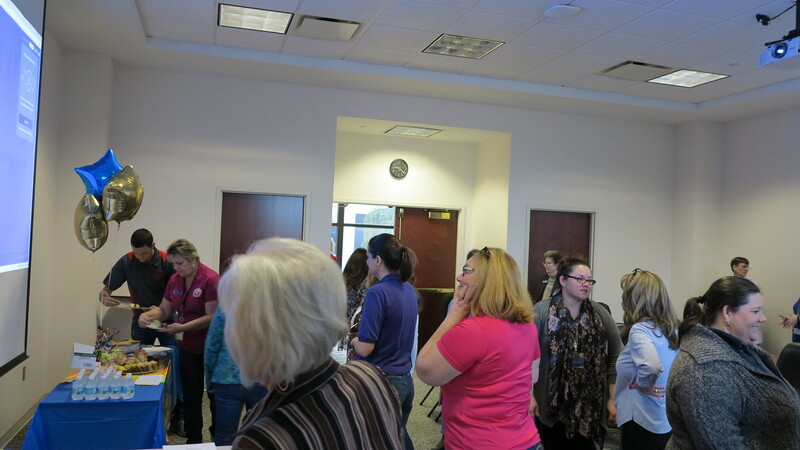 Many Deputy Clerks participated to support the cause and enjoy healthy activity. Donna was the first Deputy Clerk to cross the finish line at this year's 5K with a time of 32.05 minutes! 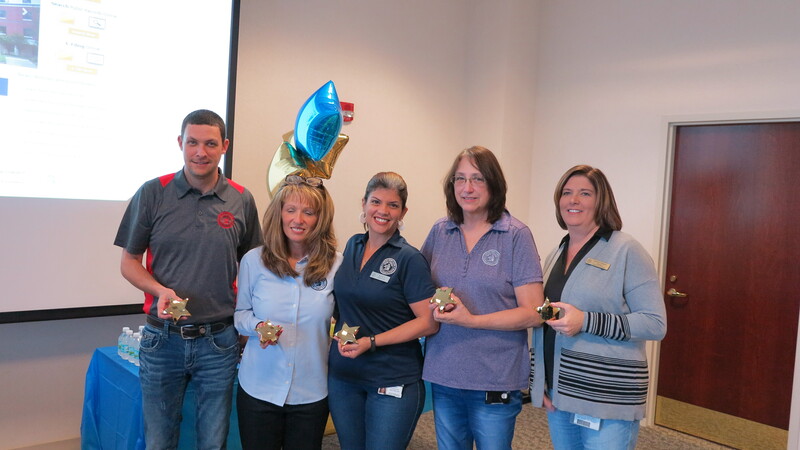 We are so proud of our employees participation and their love of helping others. Go Team! 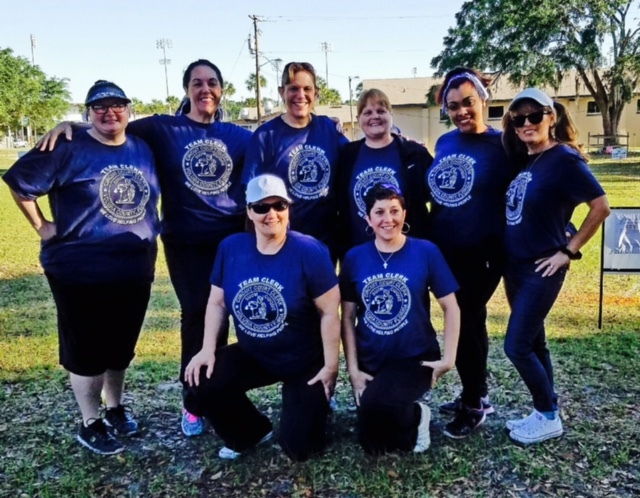 Kudos to all the Deputy Clerks who helped raise funds to fight cancer at the ME STRONG 5K this year! Watch the Start of the ME STRONG 5k. 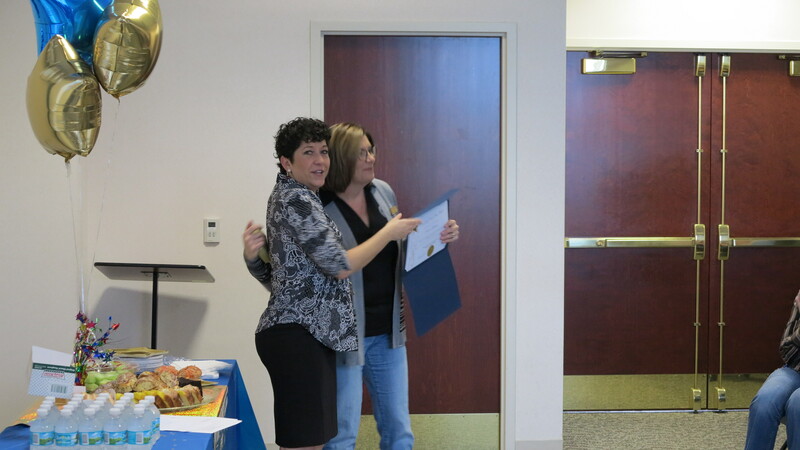 The presentation of a special plaque to Diane Matousek. 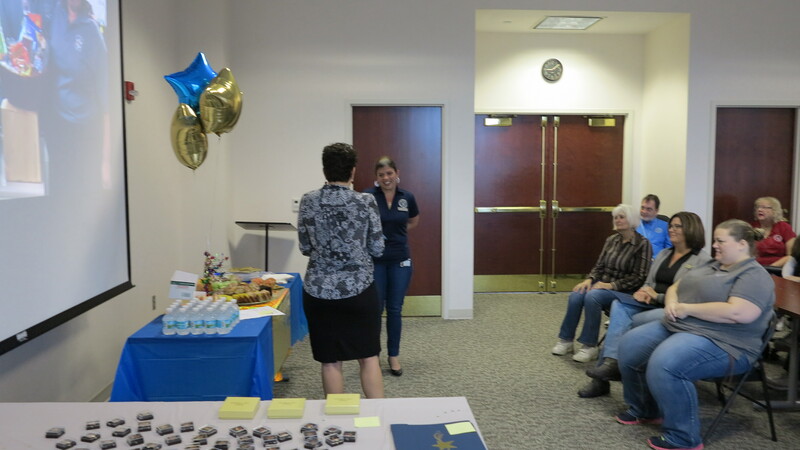 The Honorable Judge Richard Orfinger presents the certificate of service to Diane. 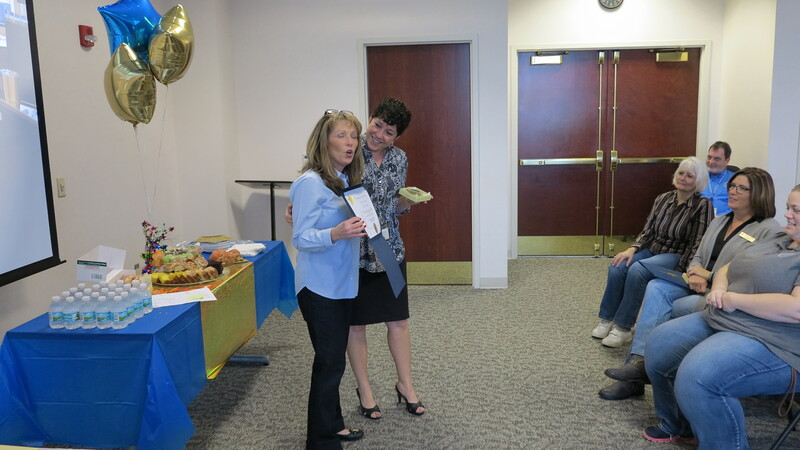 The presentation of a special retirement award to Diane. 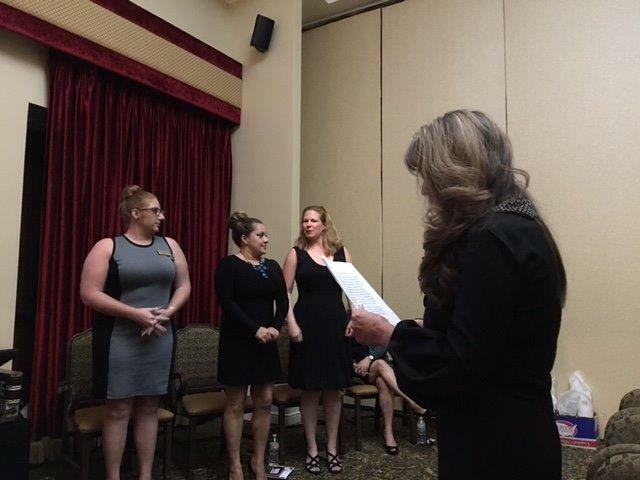 The Honorable Judge Randell Rowe administers the Oath to Laura Roth. 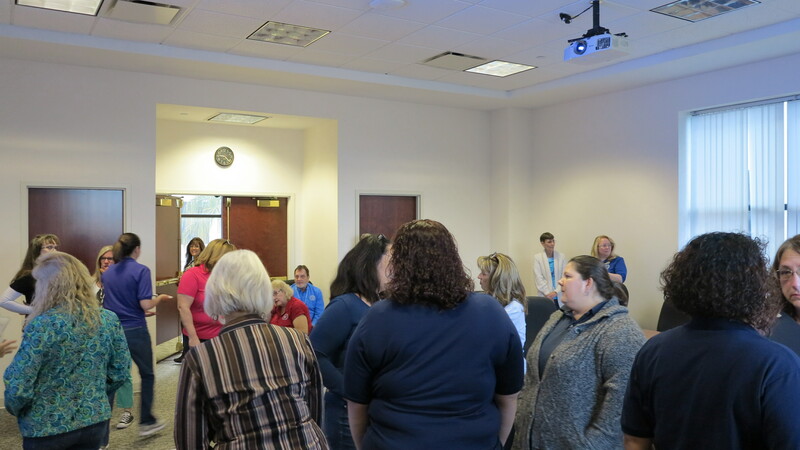 The Clerk employees perform a surprise flash mob dance for Roth. The crowd enjoys the flash mob dance. 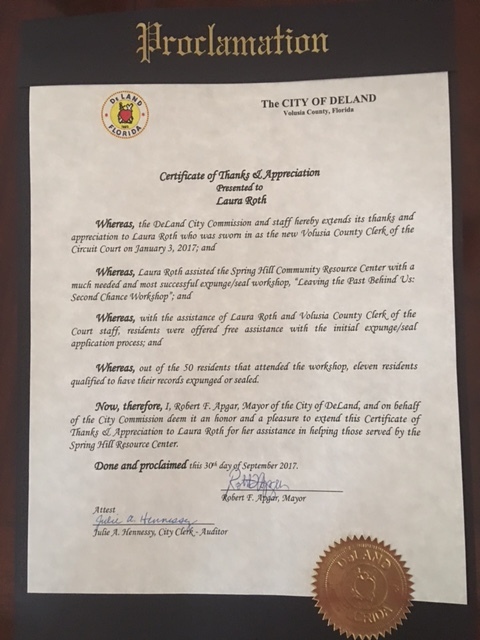 On January 3, 2017, a special retirement ceremony was held at the DeLand Courthouse honoring former Clerk Diane Matousek for her 24 years as Clerk and almost 44 years of exemplary service to the Clerk's office. 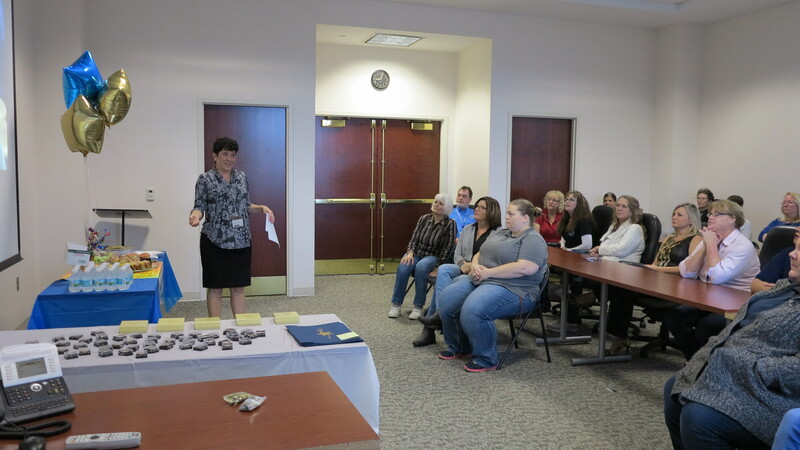 The event included a musical tribute to the Clerk performed by employees of the Clerk's office, the presentation of plaques and gifts by the office divisions, and a farewell address by Diane. The Honorable Judge Richard Orfinger from the Fifth District Court of Appeals made the final presentation to the Clerk. 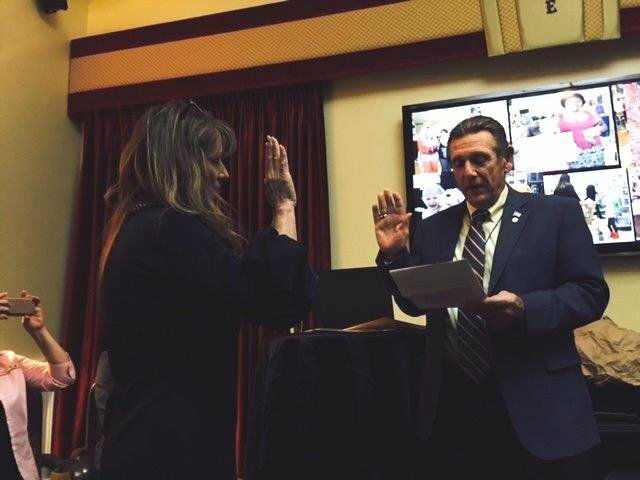 The Honorable Judge Randell Rowe III, Circuit Judge, administered the Oath of Office for incoming Clerk, Laura Roth. 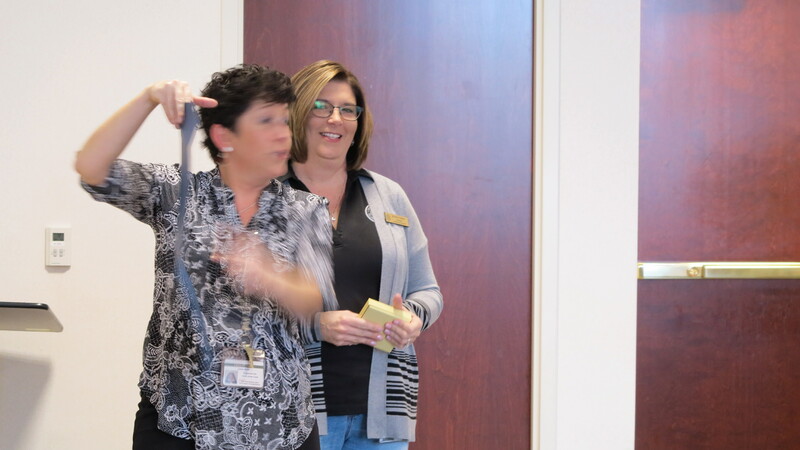 The Clerk employees surprised new Clerk Roth with a musical tribute and flash mob dance. 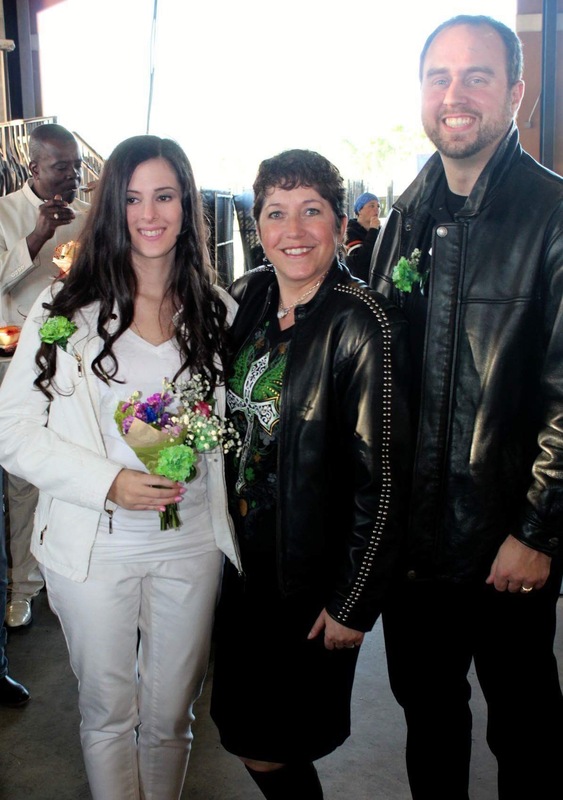 See the Daytona Beach News Journal article and the West Volusia Beacon's video of the Roth tribute performance. 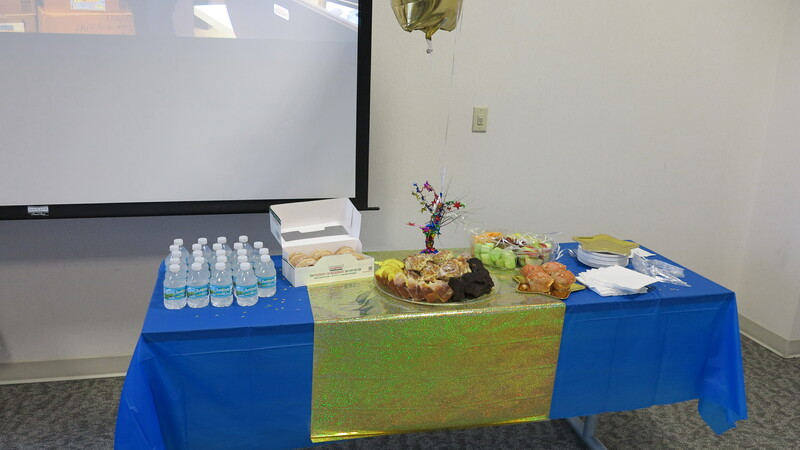 Special thanks goes out to the dedicated members of the Clerk's office staff who provided an unforgettable reception and ceremony for the occasion. Project Specialist Dianne and Manager Jeanine getting ready to load up the gifts. 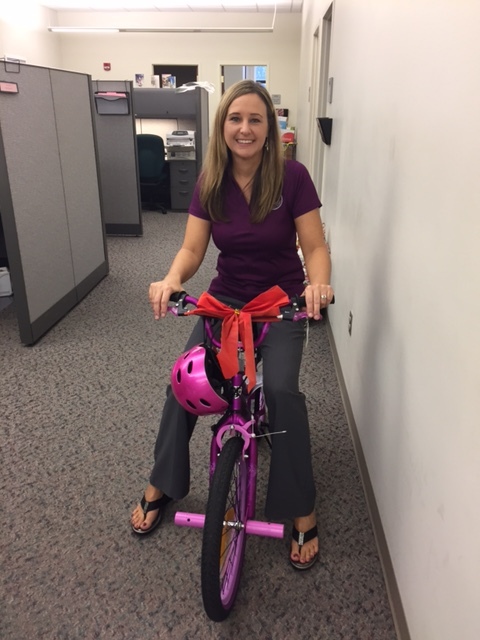 Project Specialist Tara testing a bike. 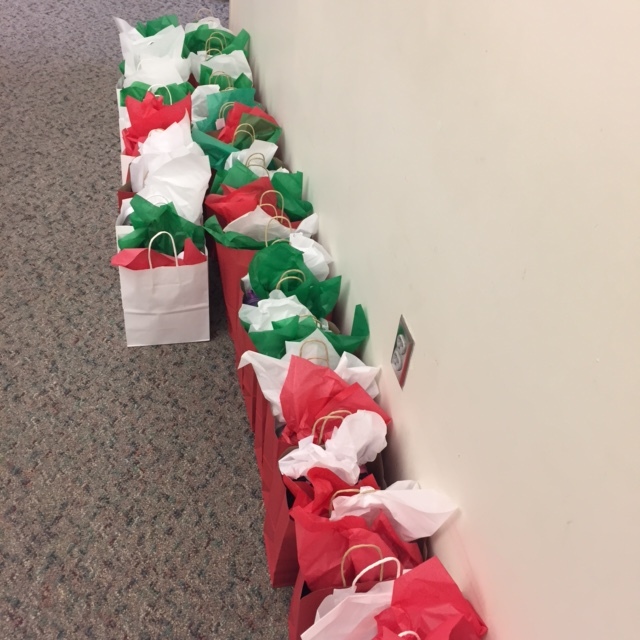 Gifts are ready to go on the loading dock! 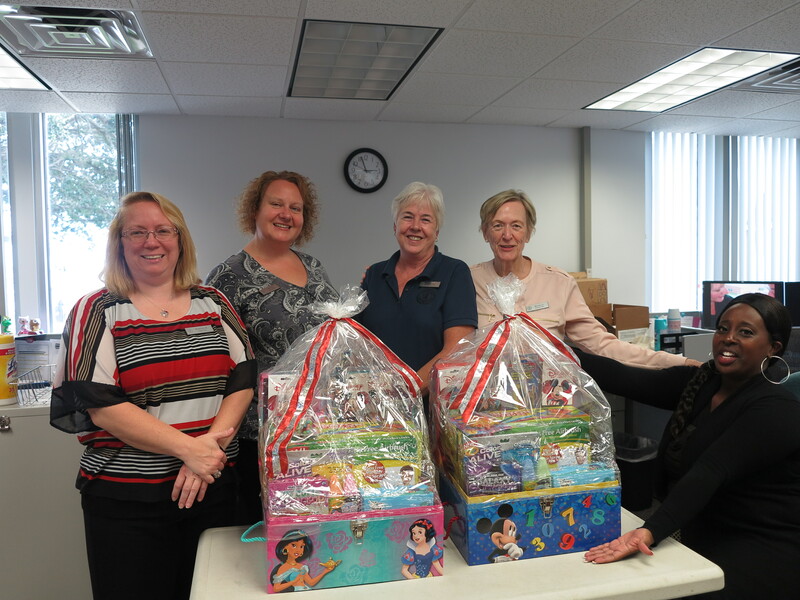 Beginning in 2010, the Clerk's office became involved with a very special program benefiting children in our community. 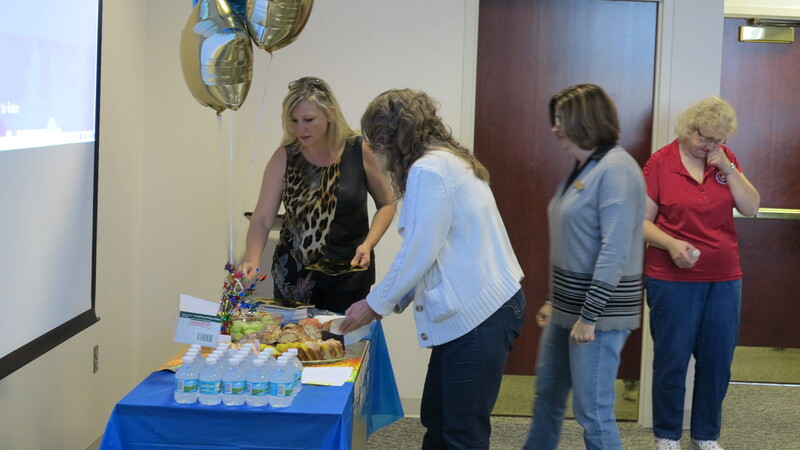 The program was developed through the Volusia County School Board to assist children in homeless situations. Each year there are approximately 1,300 homeless students in our local schools. The families sometimes live in cars, hotels, tents, or with friends or extended family members. 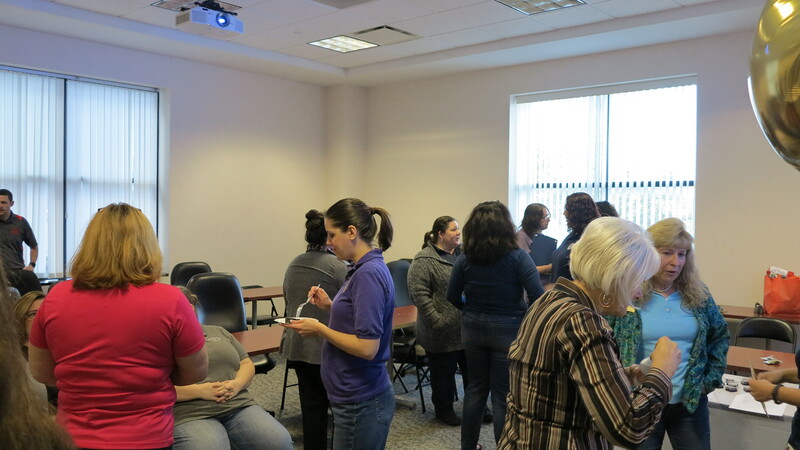 A social worker chooses the families who are most in need of help for the holidays. 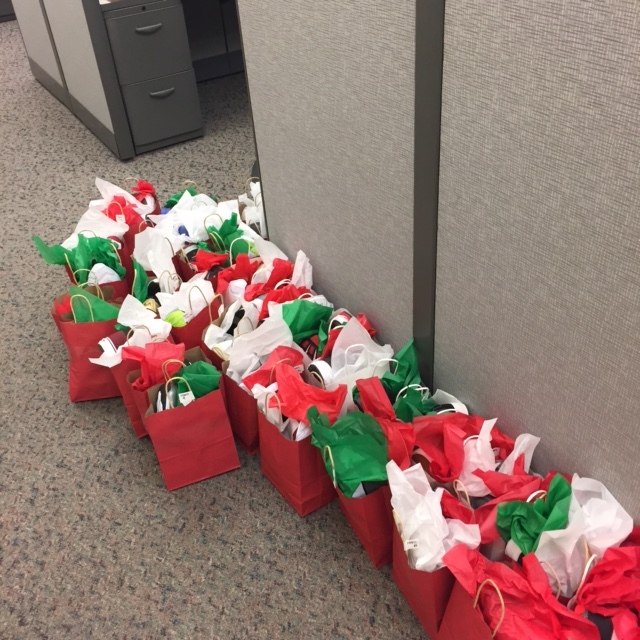 They provide us with "wish lists" completed by the children and willing Clerk's office divisions volunteer to do their best to get the items on the list. 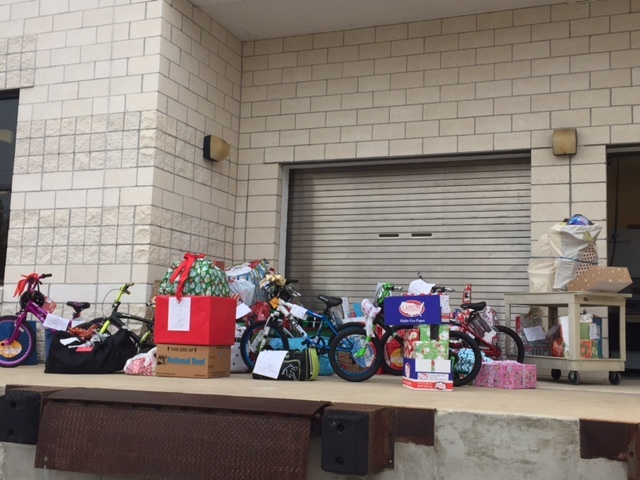 Due to the generous donations of the Clerk's staff, many children receive items they otherwise would not get. Each year our numbers vary but in our best year, 2012, we were able to make 75 students very happy. 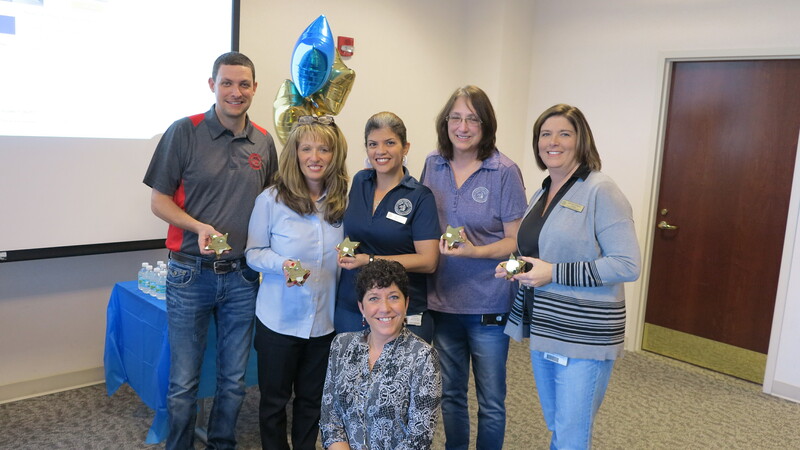 Thanks again to our caring staff who give of their time and treasure year after year. 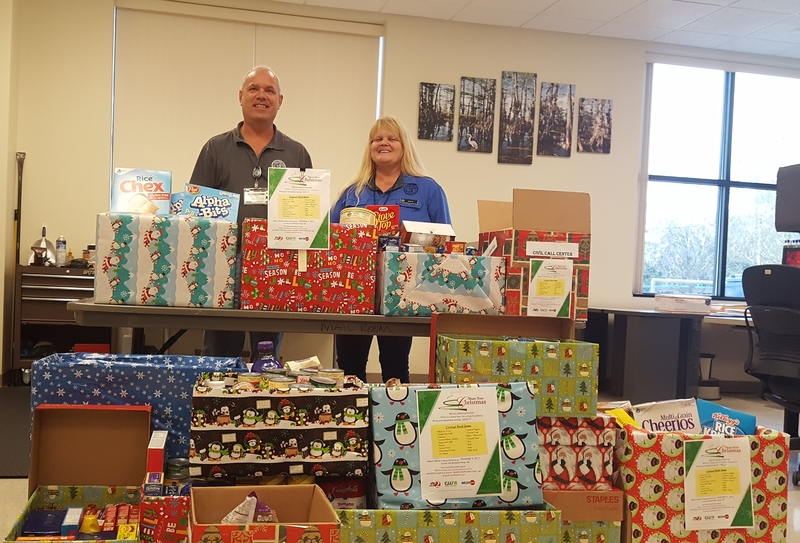 For many years our employees have generously given non-perishable items to the Annual WESH 2 "Share Your Christmas Food Drive" benefiting Second Harvest Food Bank of Central Florida. 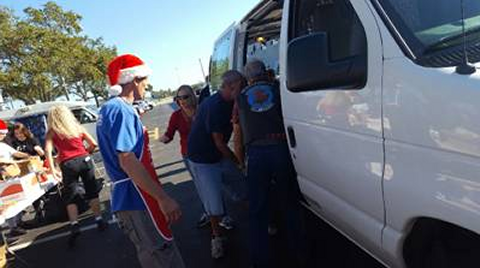 This year’s motto was "Drive Out Hunger." 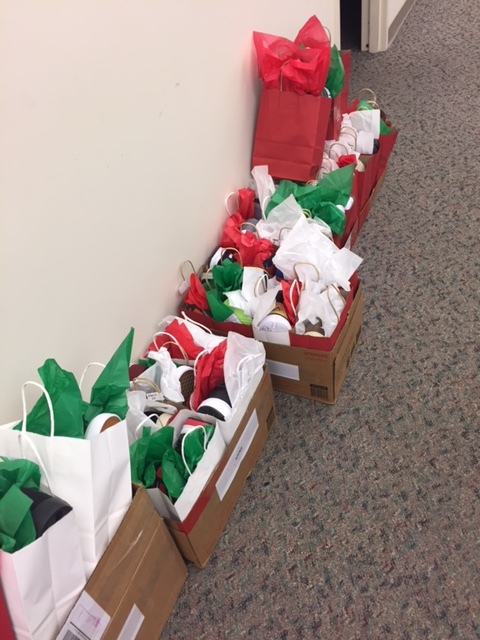 Each division in the Clerk's Office put out a box for employee donations and our Administrative Services support staff collected the goods and delivered them to the organizers on Monday, December 5th. 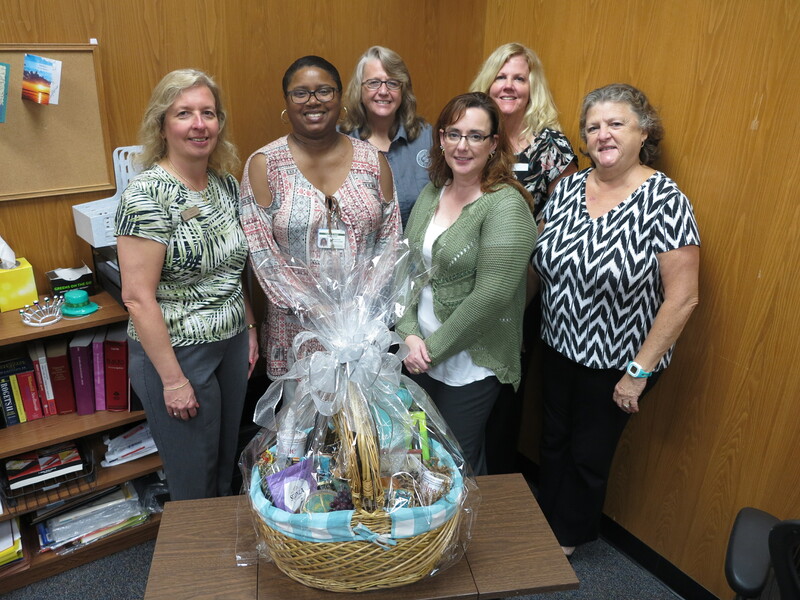 Thank you to the Clerk's office staff for your dedication to helping others. 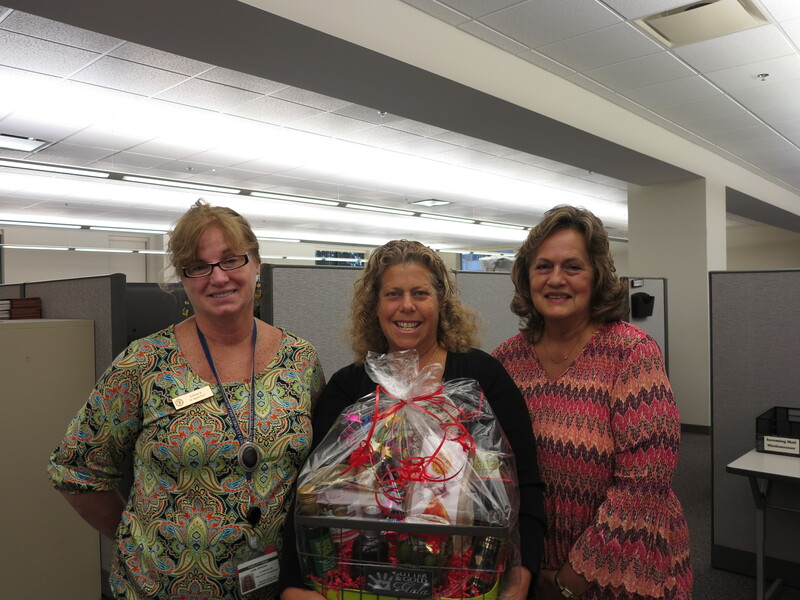 Laura Roth, Clerk of the Court; and from Clerk Administrative Services, Ralph, Gary and Debbie. Delivery of the goods at Daytona International Speedway.